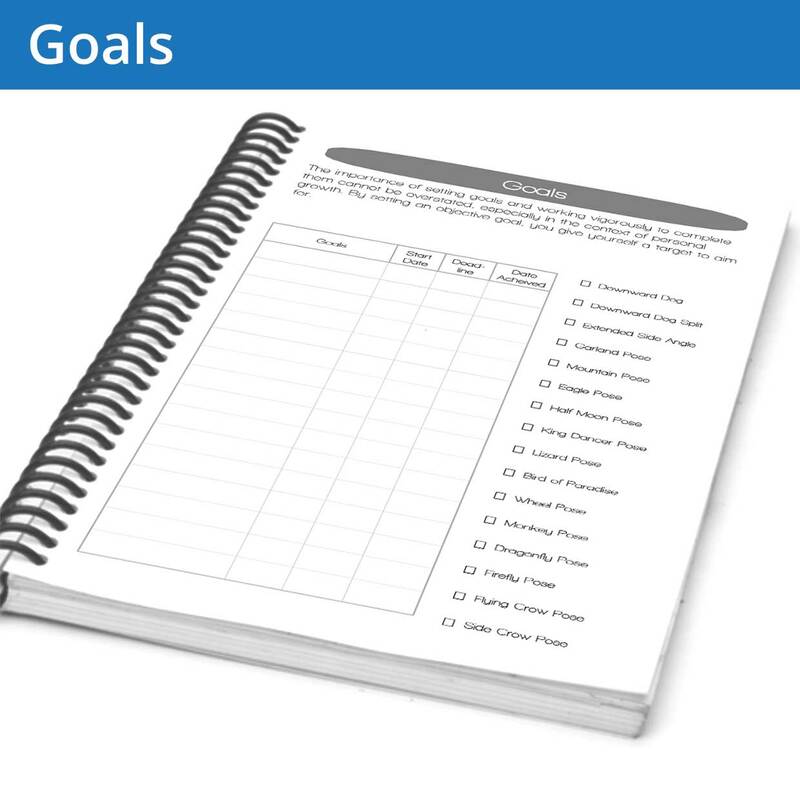 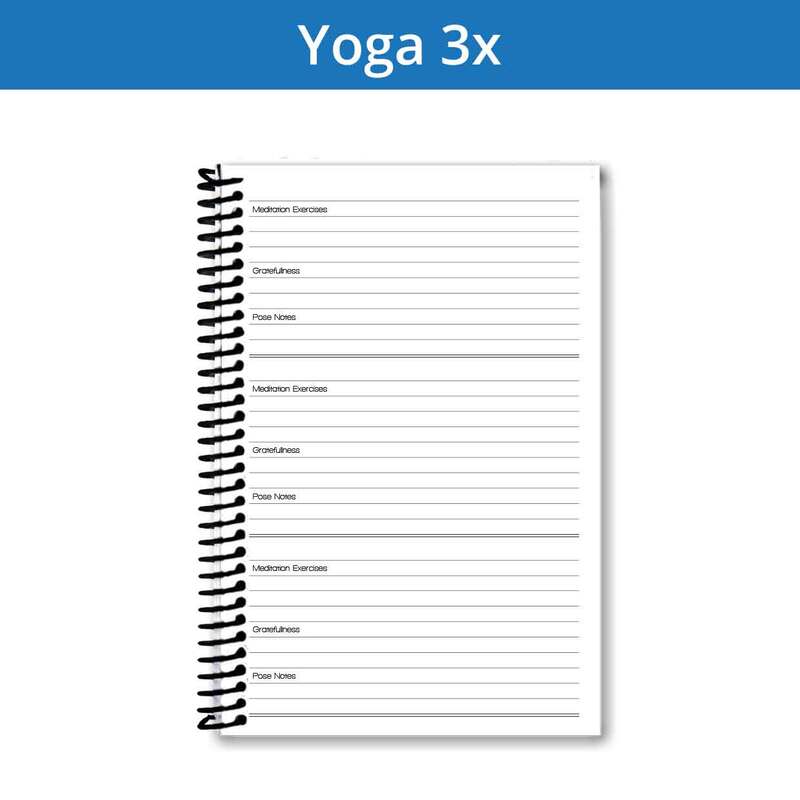 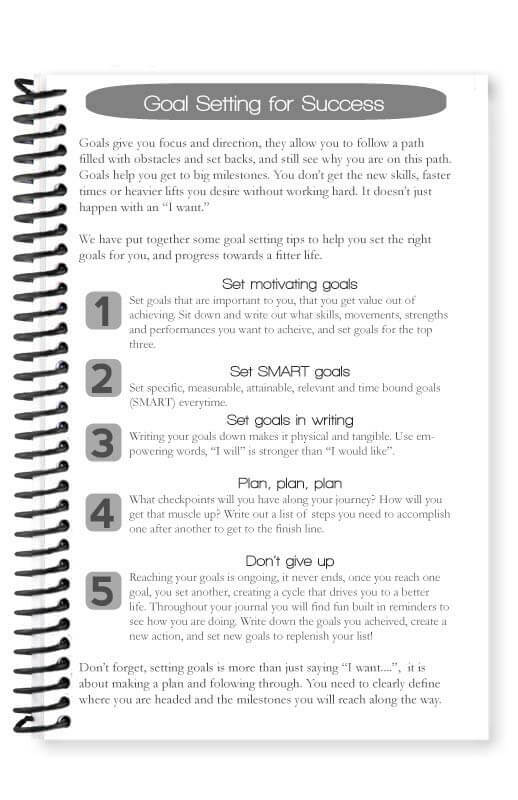 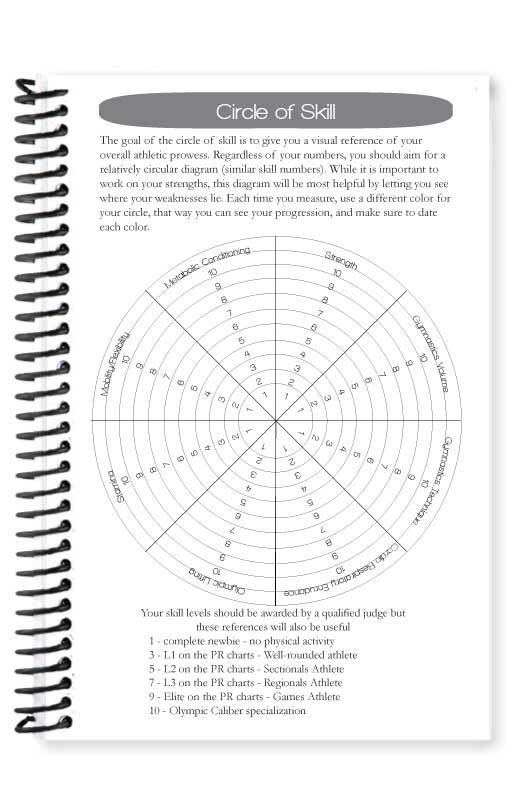 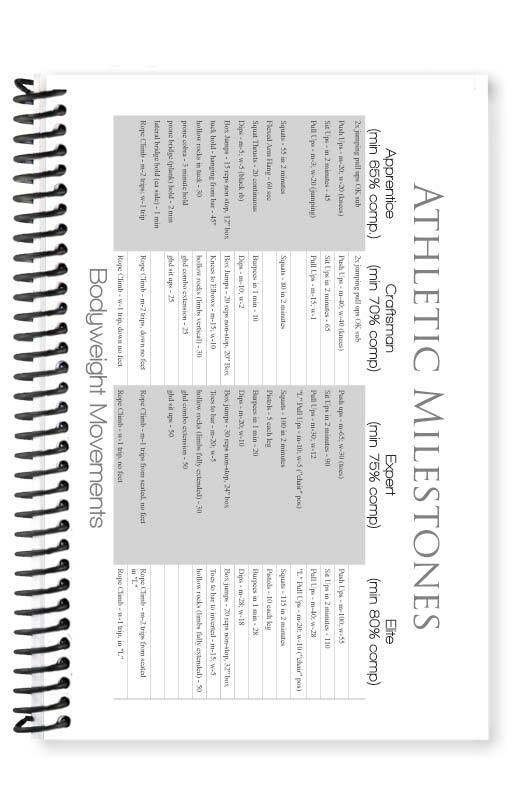 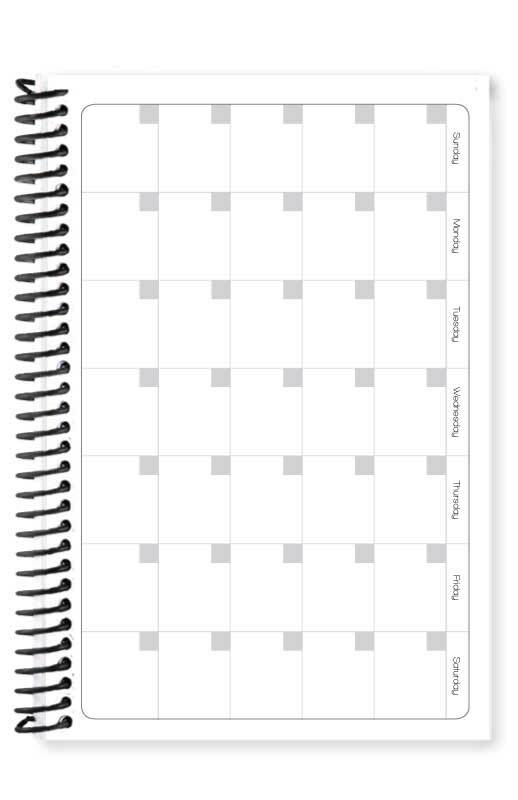 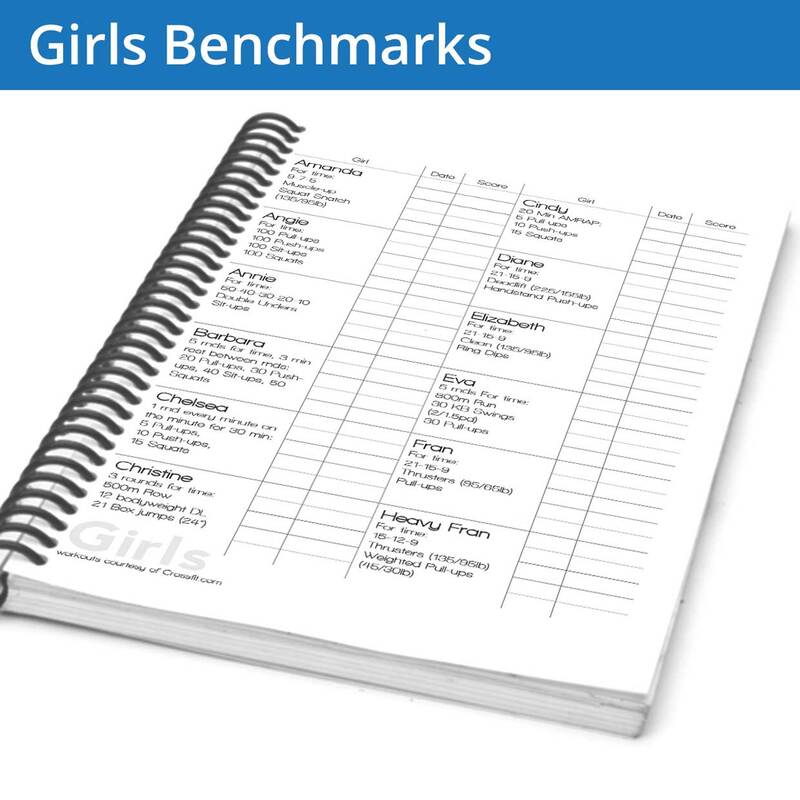 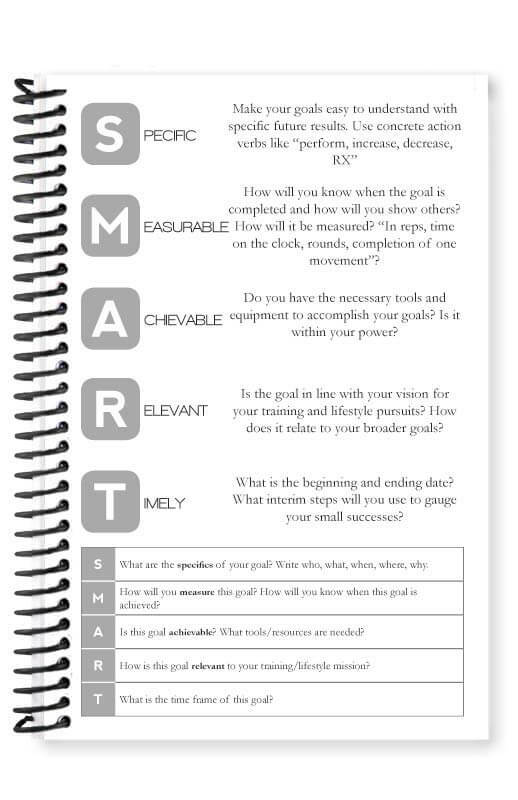 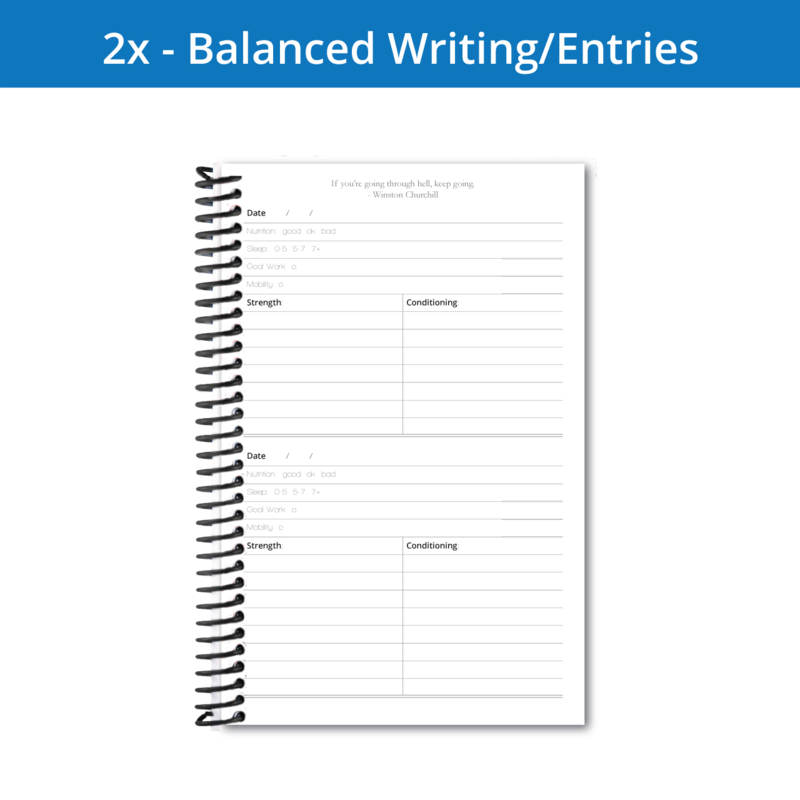 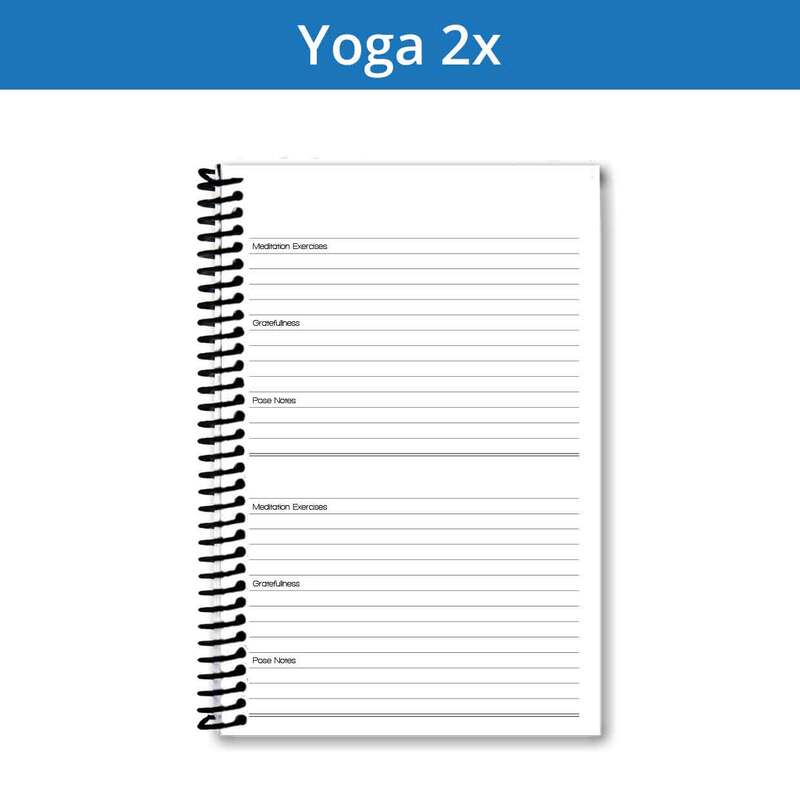 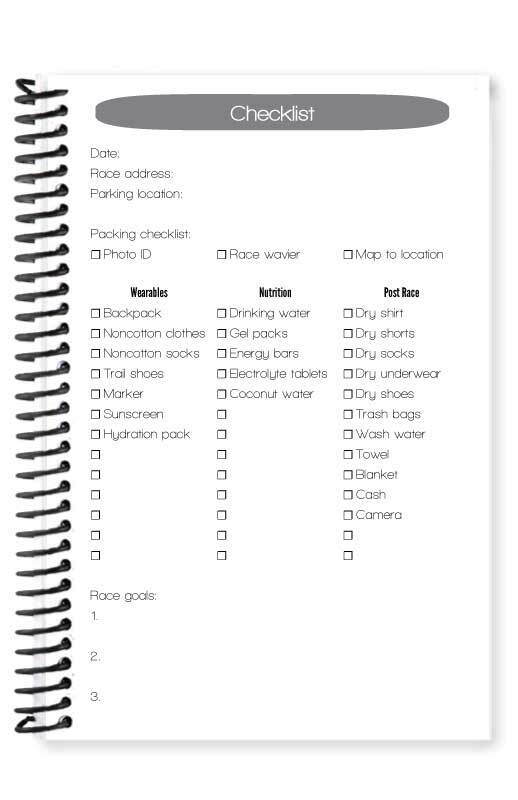 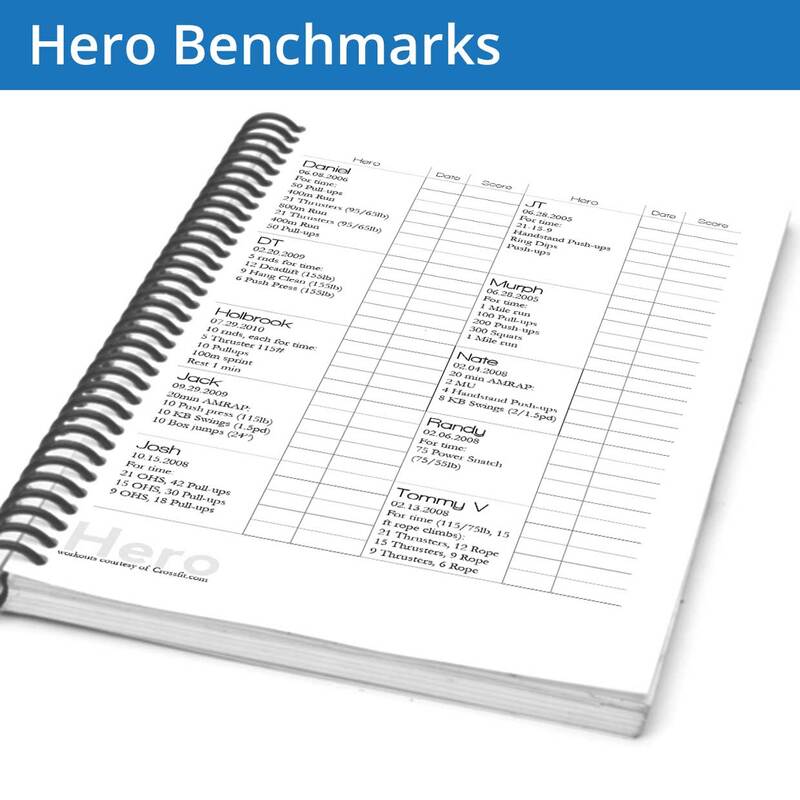 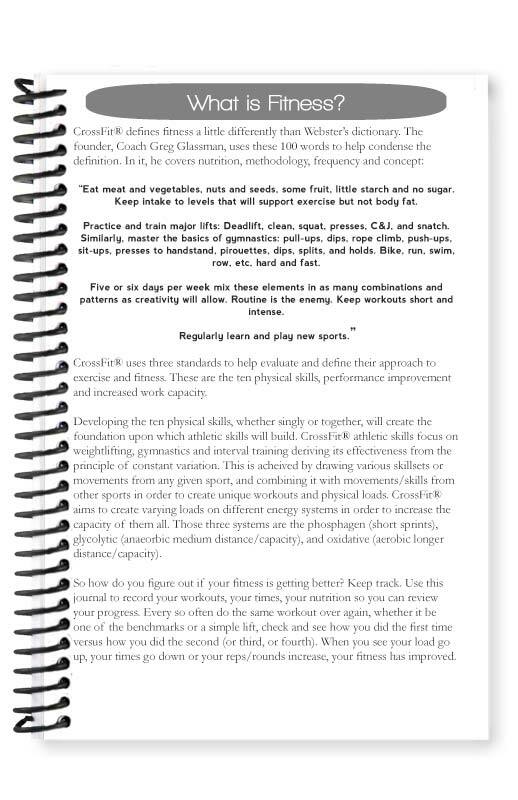 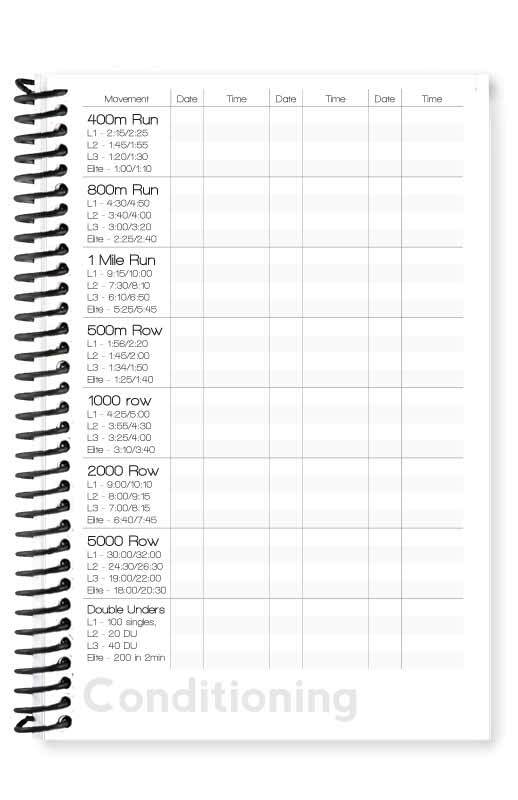 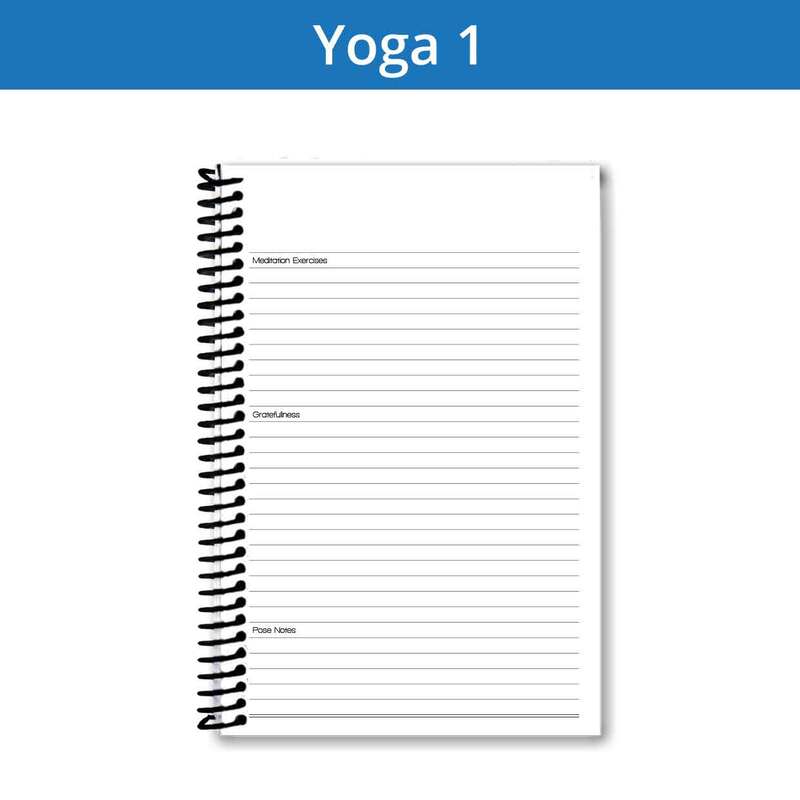 Each type of journal has sport-specific pages to tailor your goals to your journal. 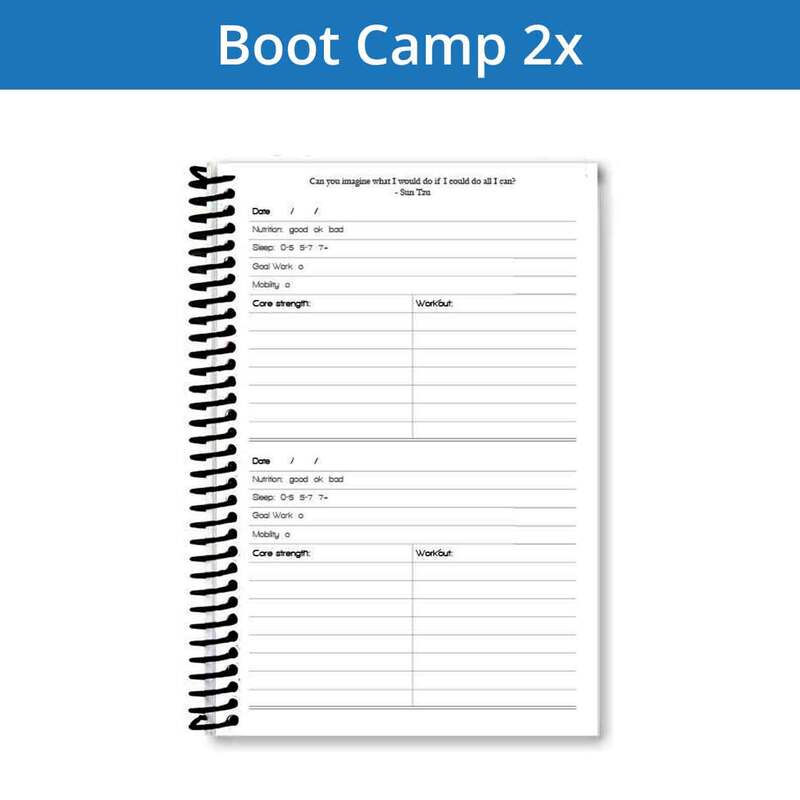 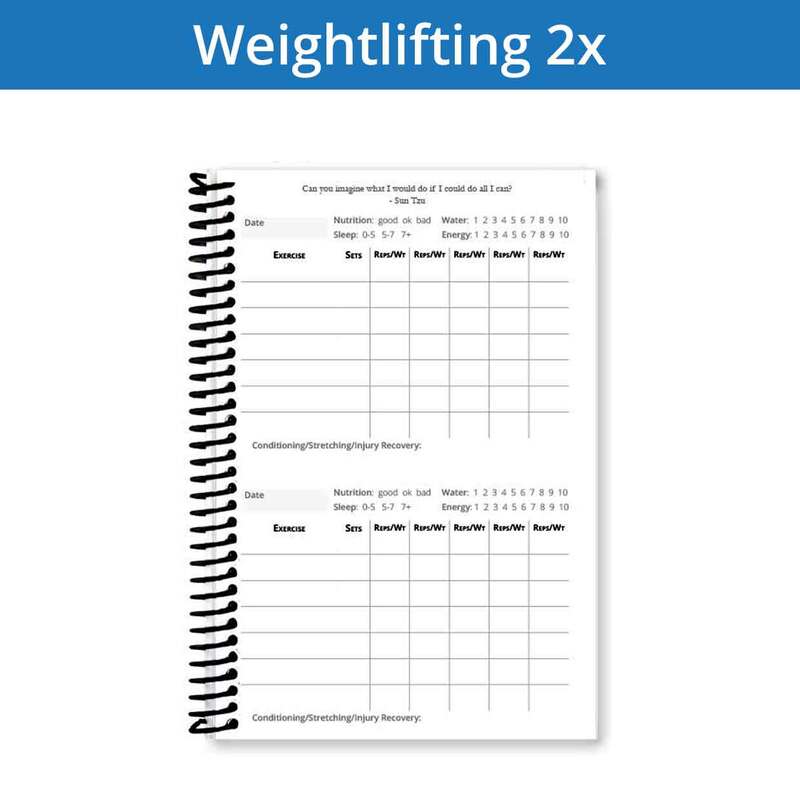 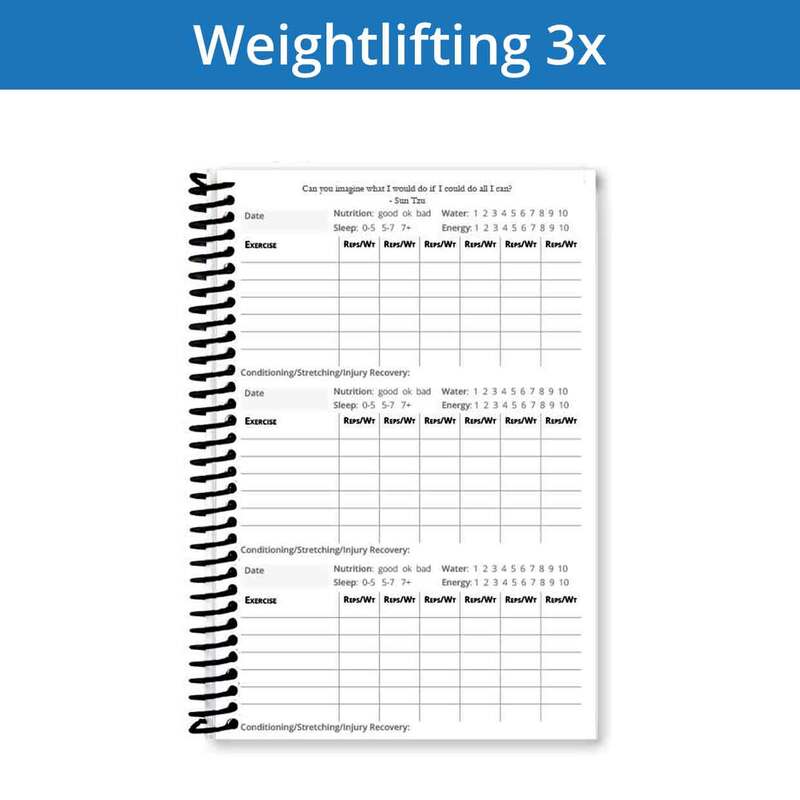 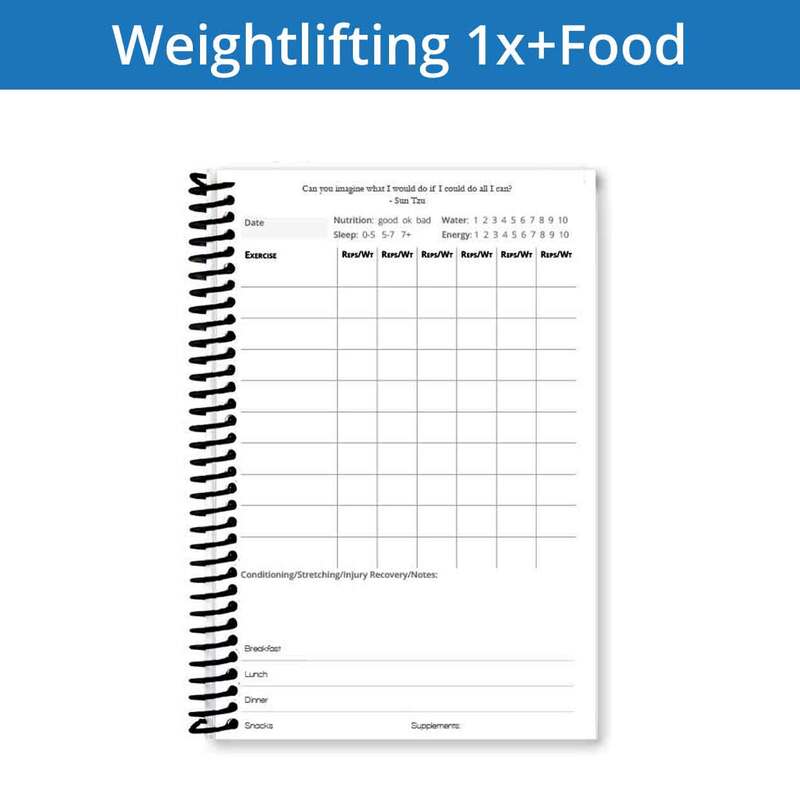 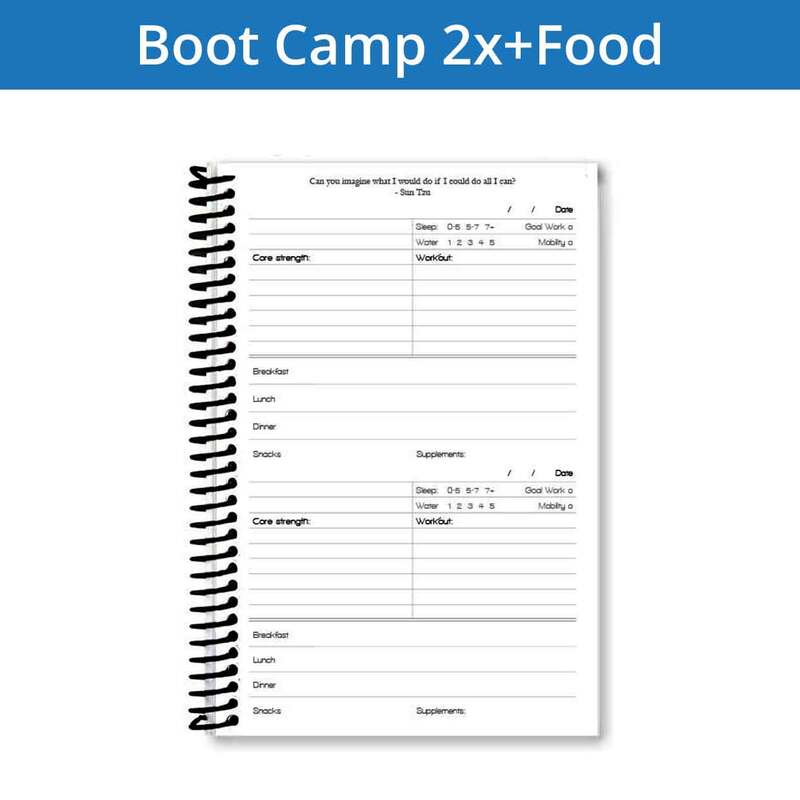 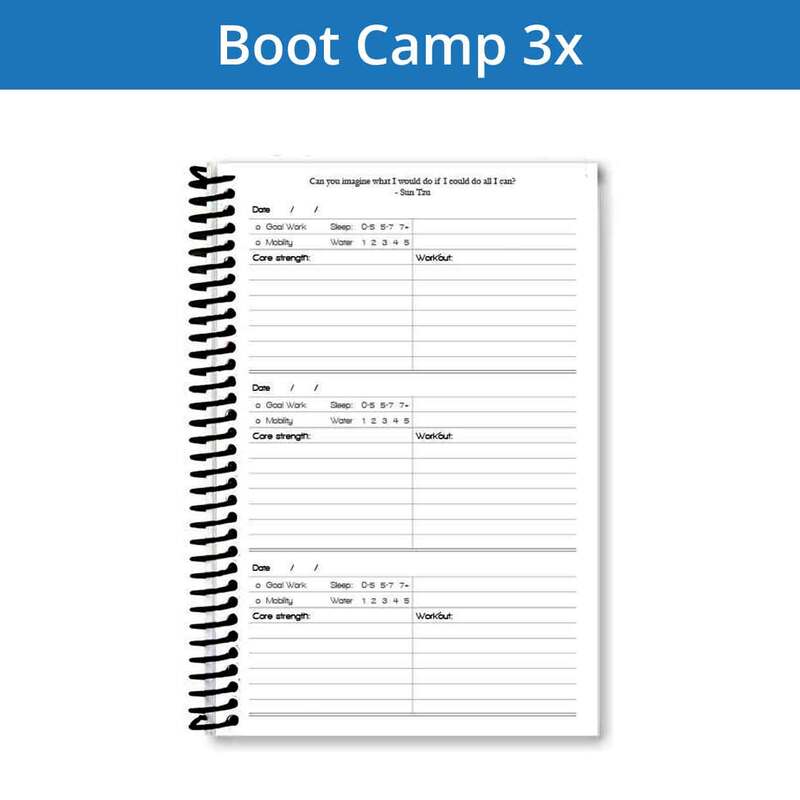 This means a weightlifting journal will have info, workout pages and records focused on a weightlifter's needs, while a boot camp journal will focus on the experience of a boot camper. 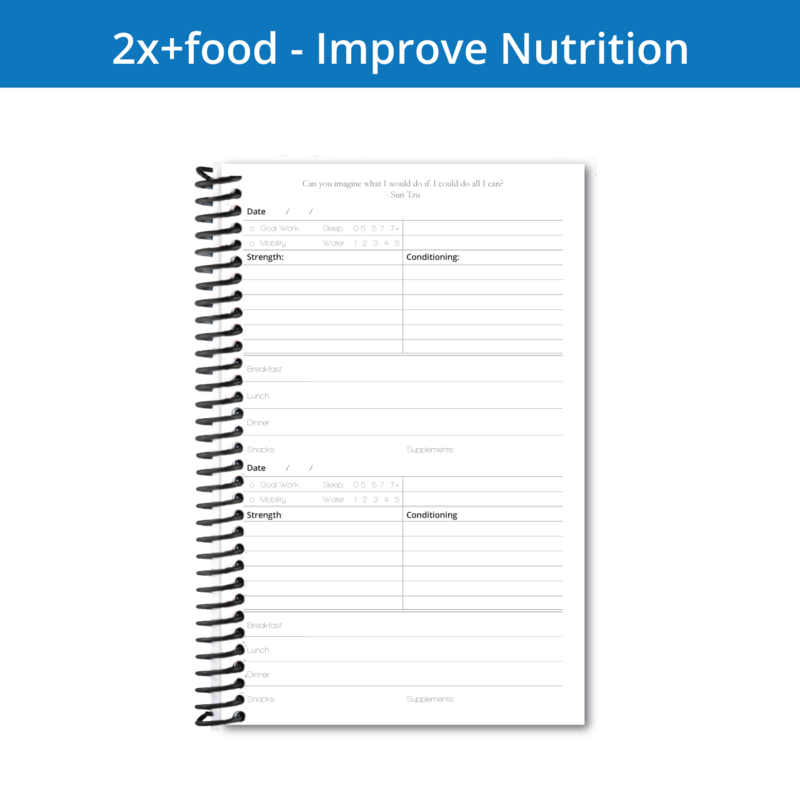 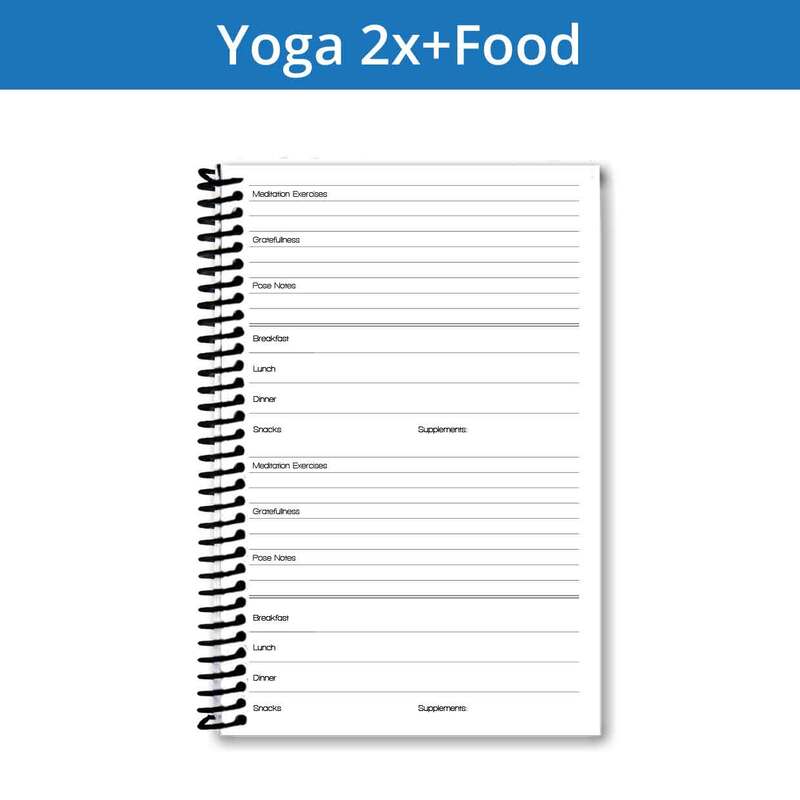 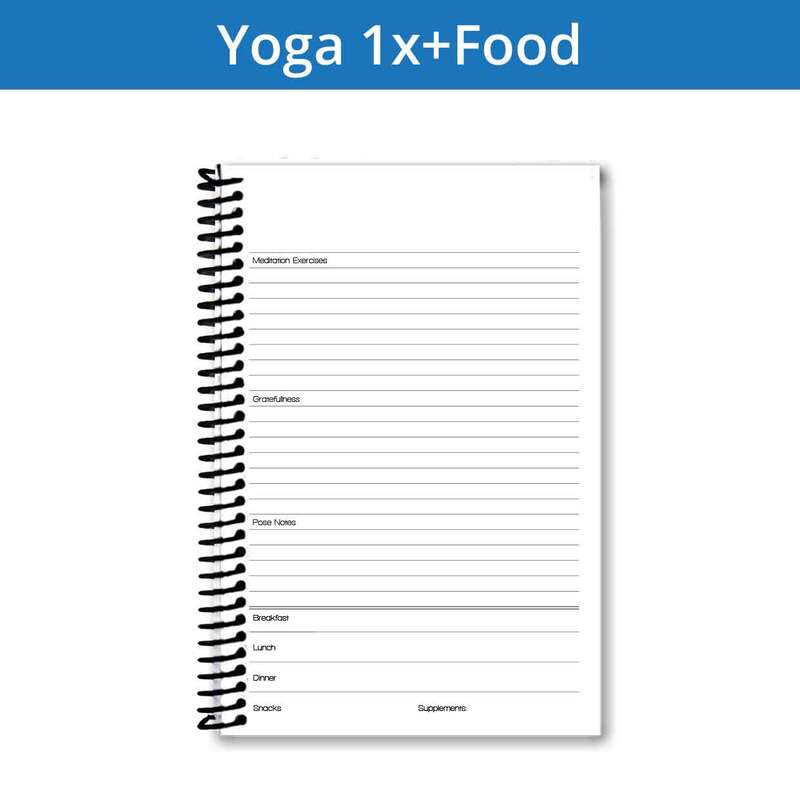 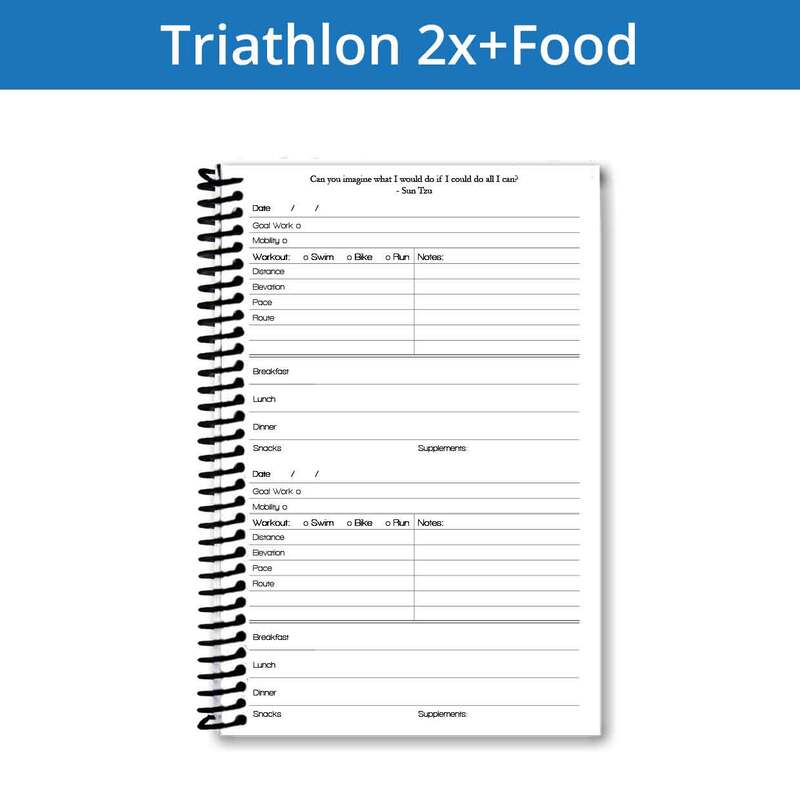 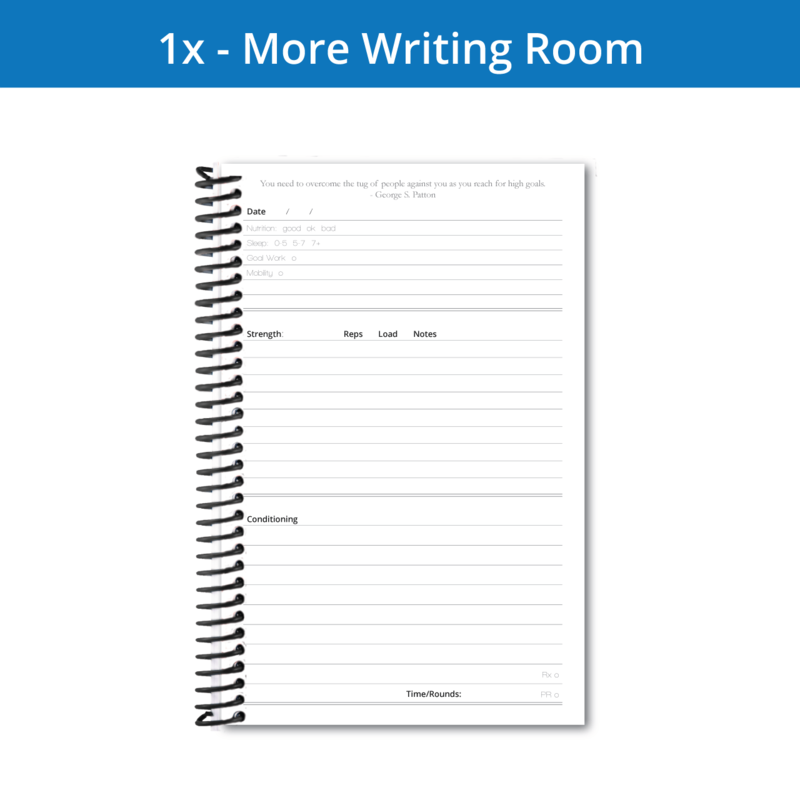 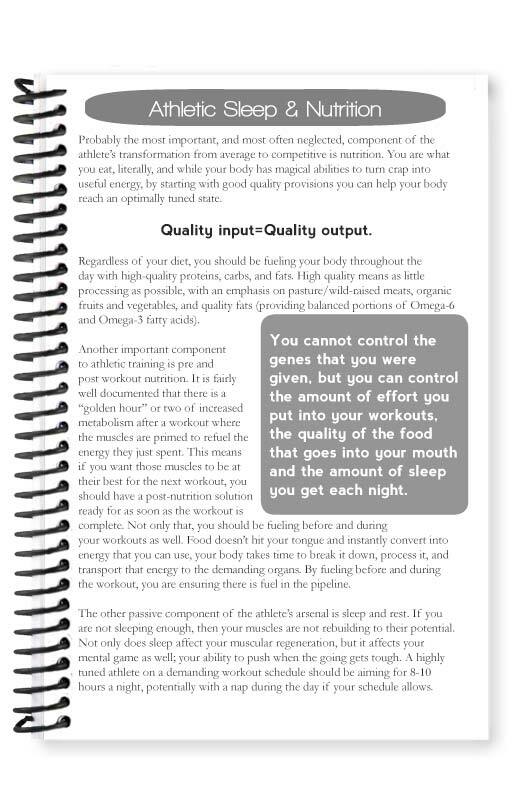 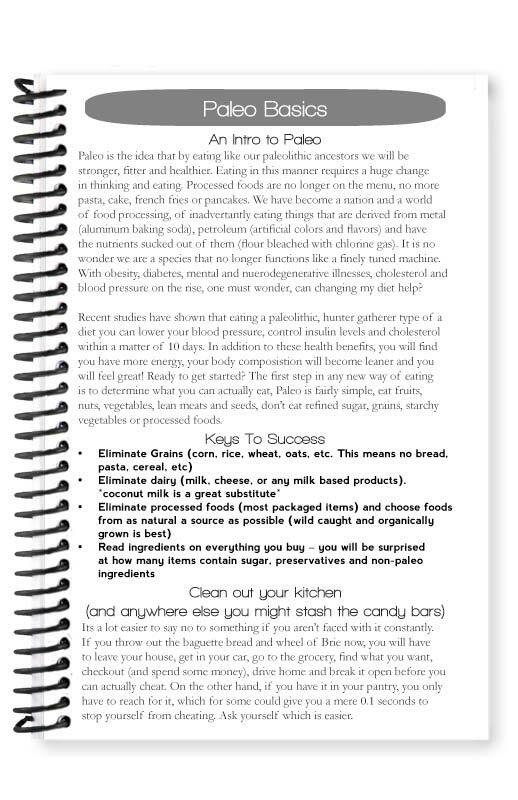 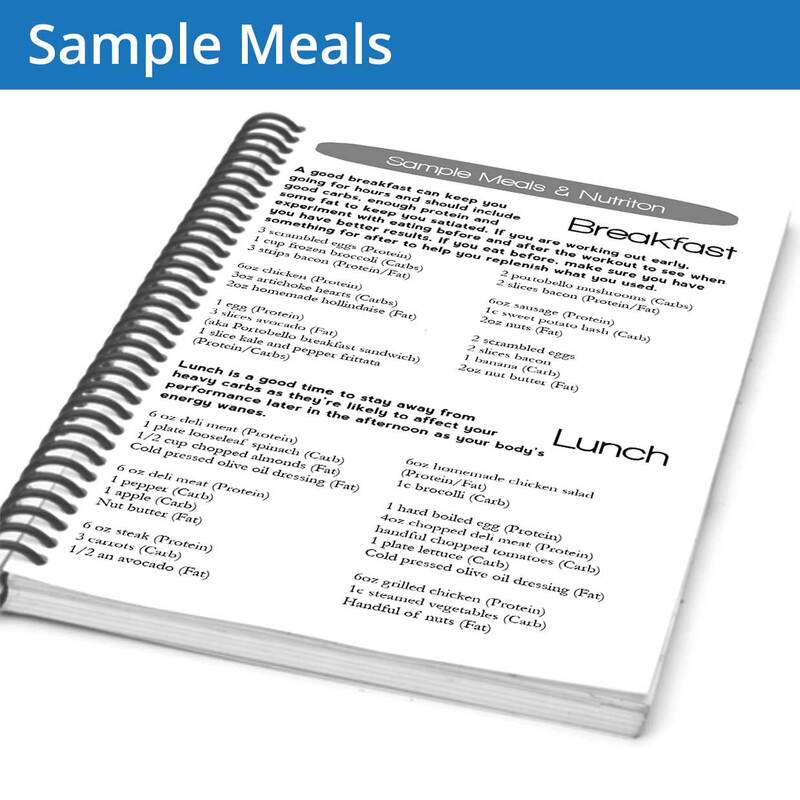 Some pages are universal and available in more than one journal type (think nutrition, goals and warmups). 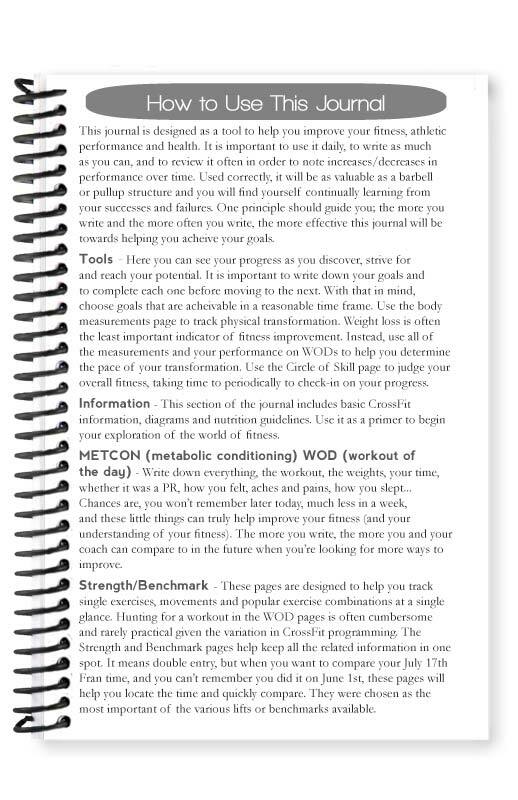 Click on the below links and thumbnails to preview the sport-specific info, PR and workout pages. We know you are unique, and we know you have needs specific to your goals, experience and knowledge. That's why we've built out different content templates for each type of journal. 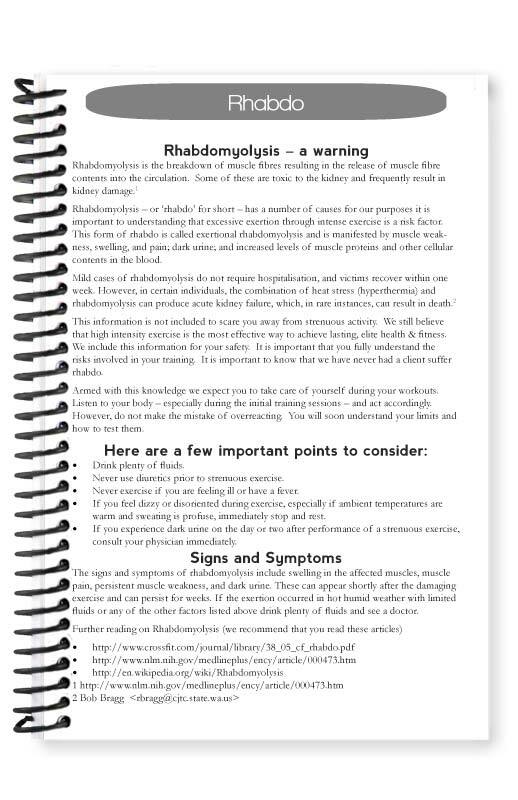 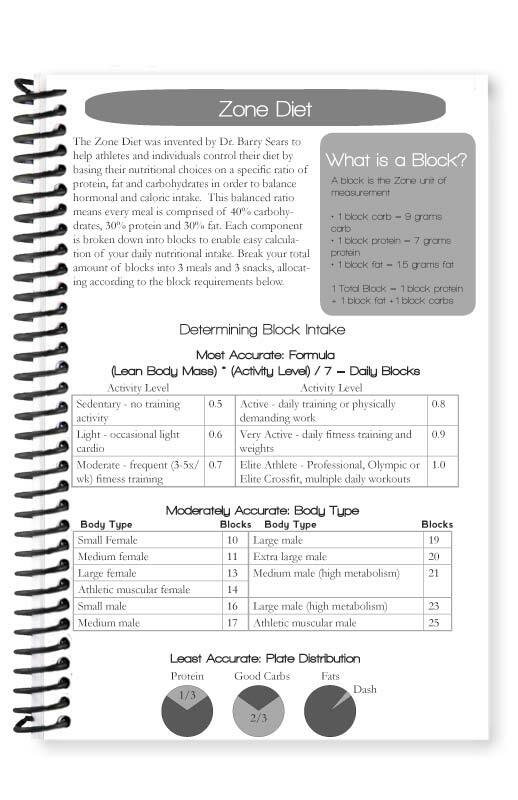 All journals are 150 pages with the difference between templates being the amount of information we include to aid your fitness journey. 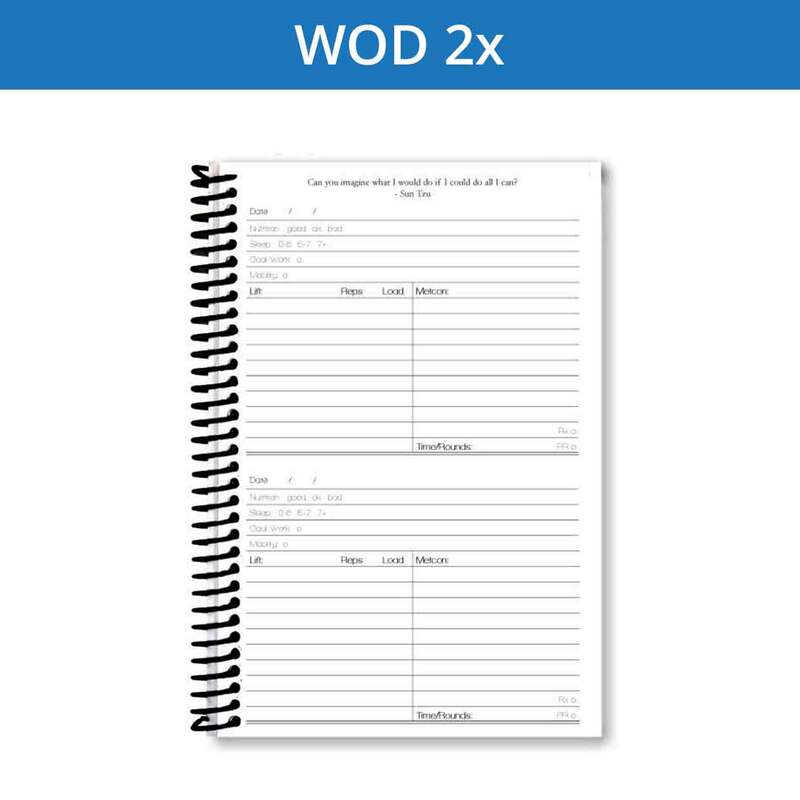 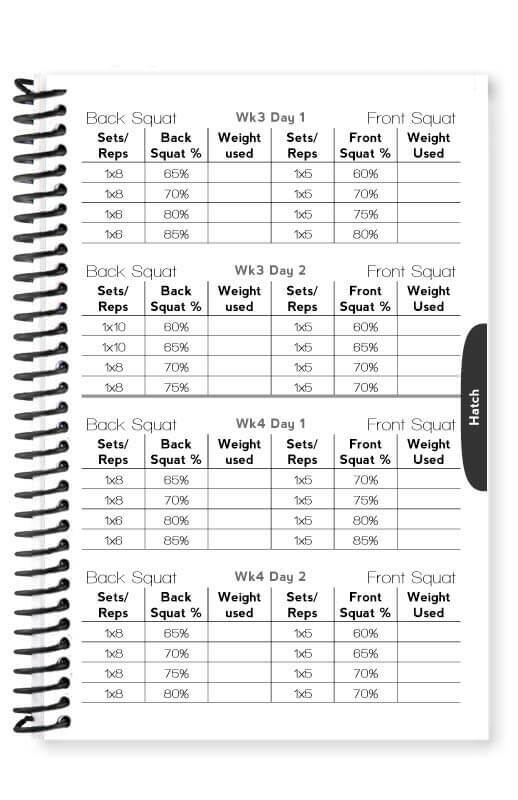 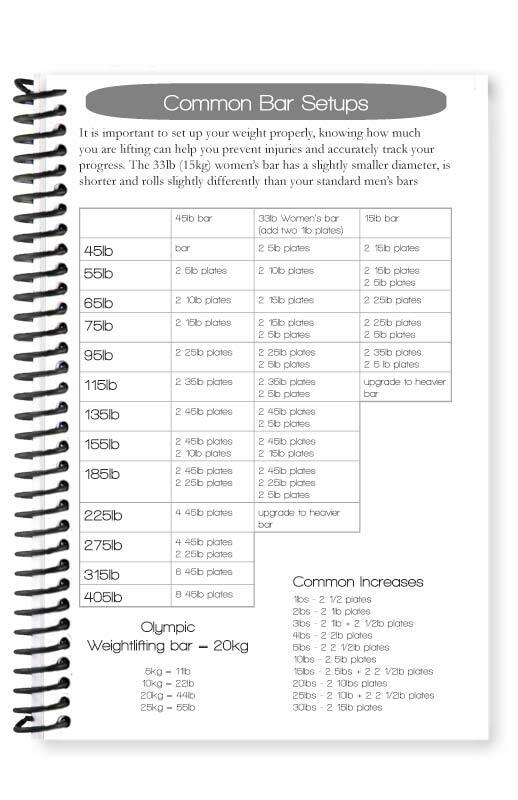 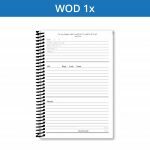 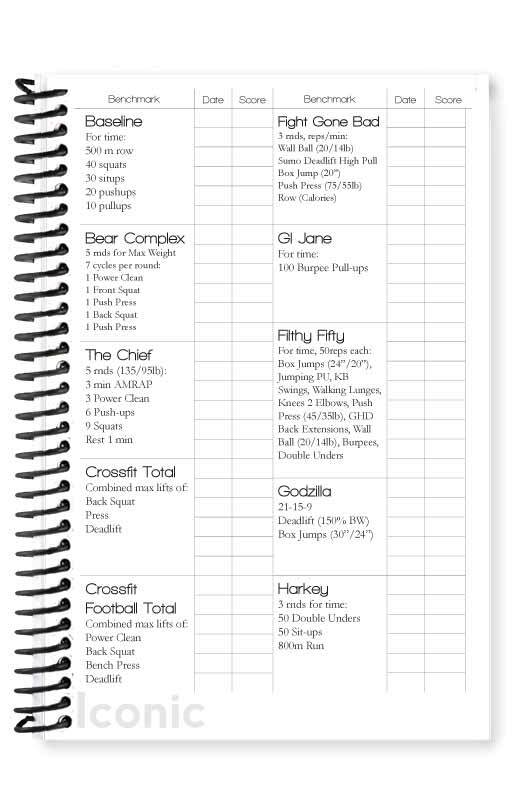 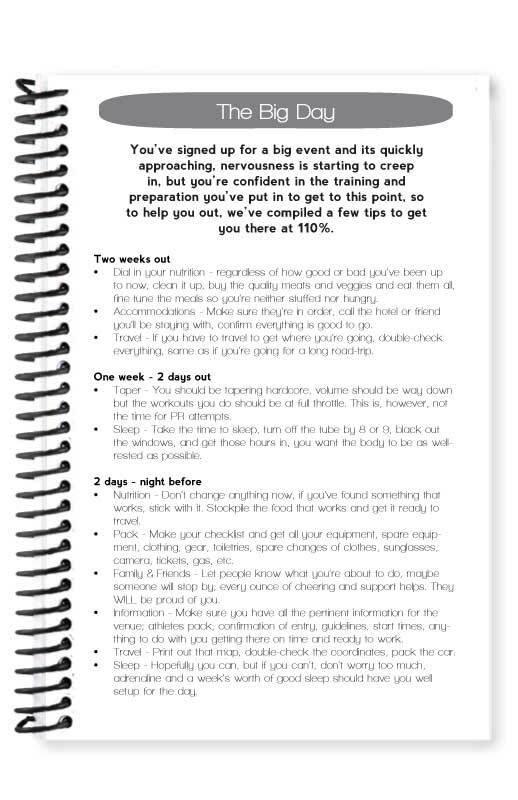 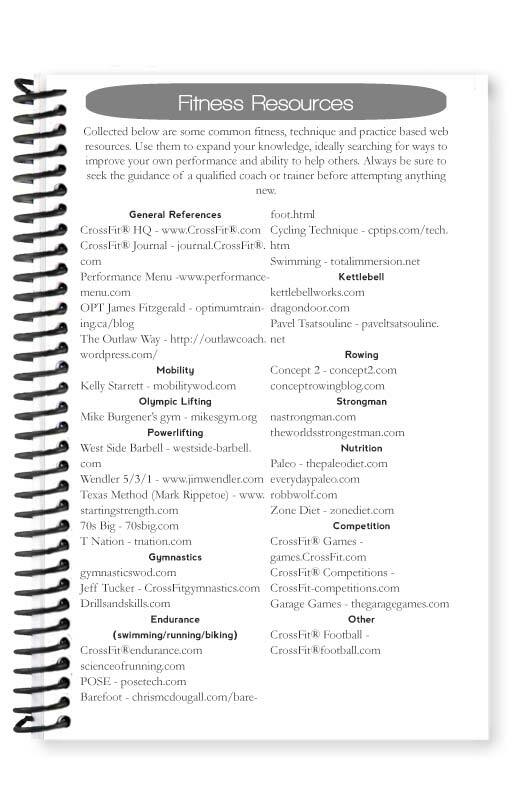 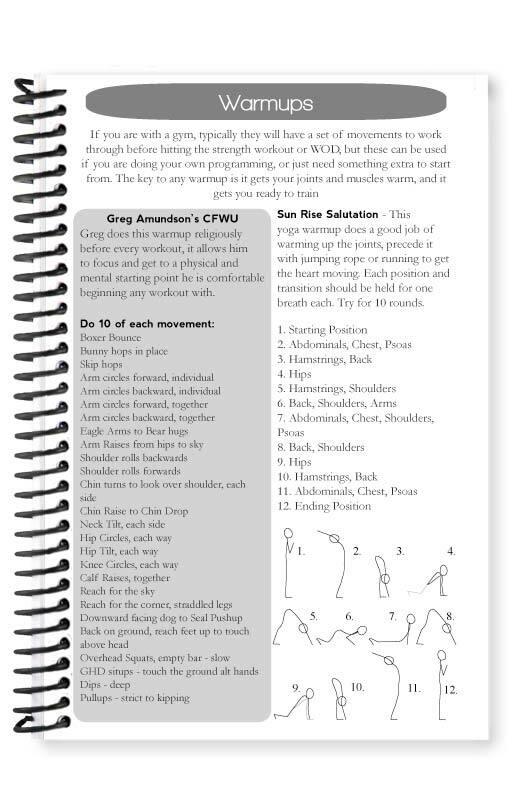 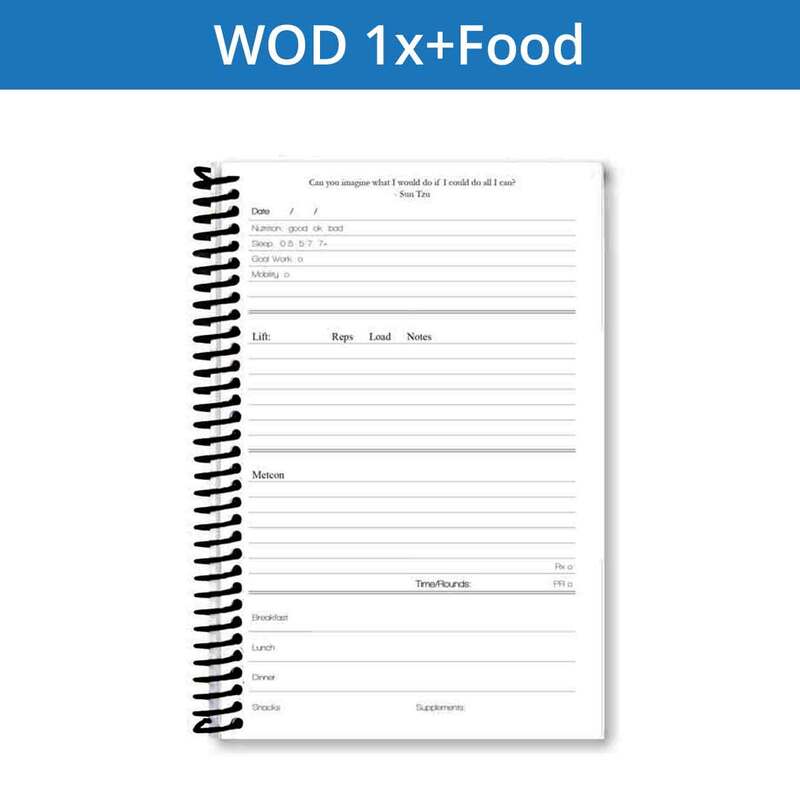 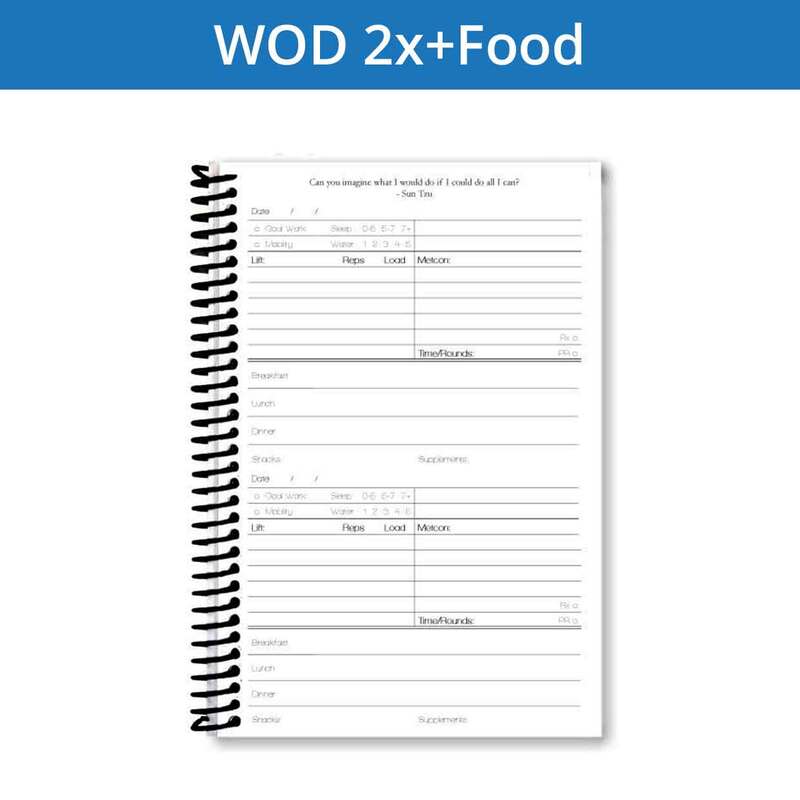 A Foundation WOD journal will have much more info and therefore far fewer workout pages than a Strict WOD journal. 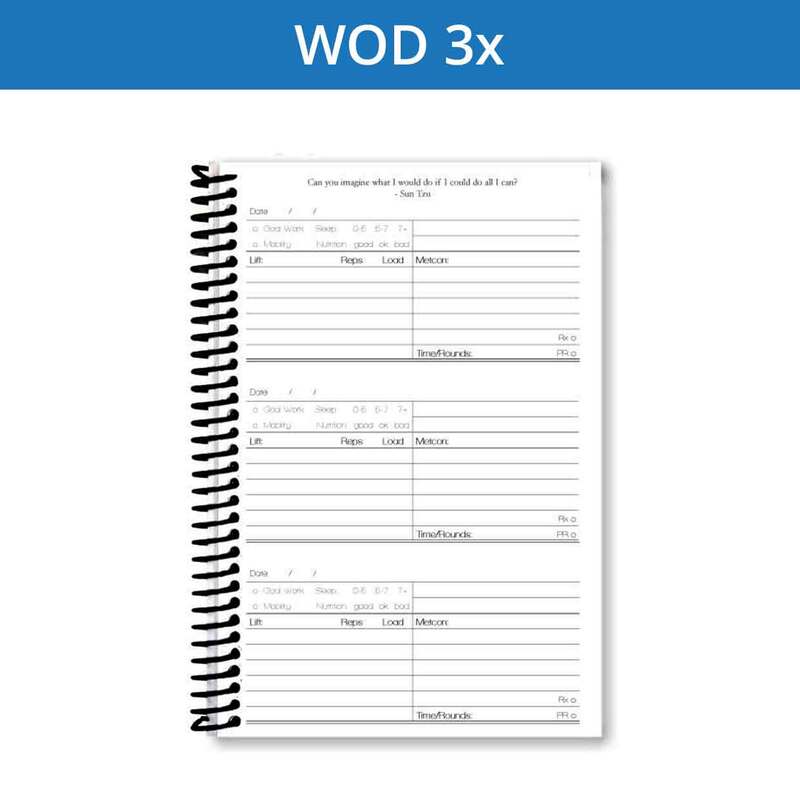 Our WOD pages are geared towards the activities you might find at a CrossFit box. 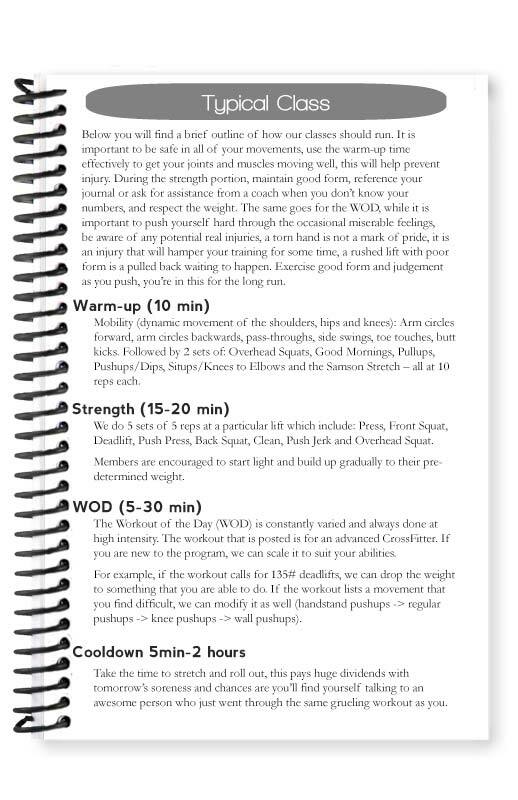 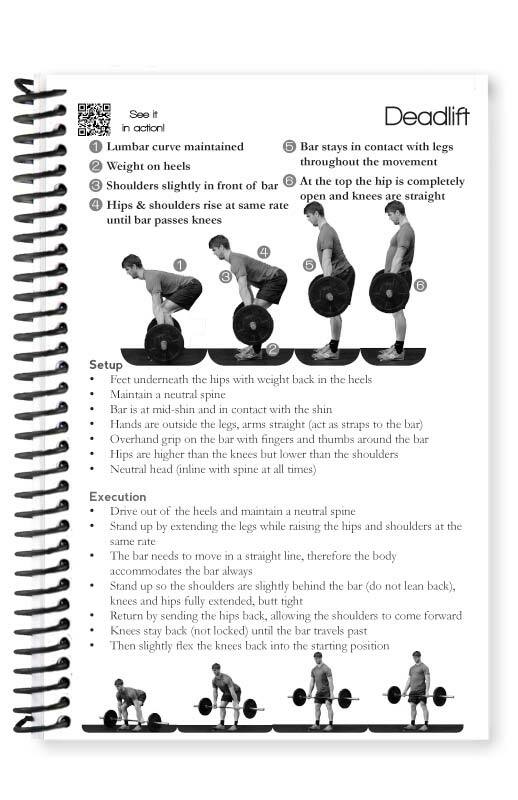 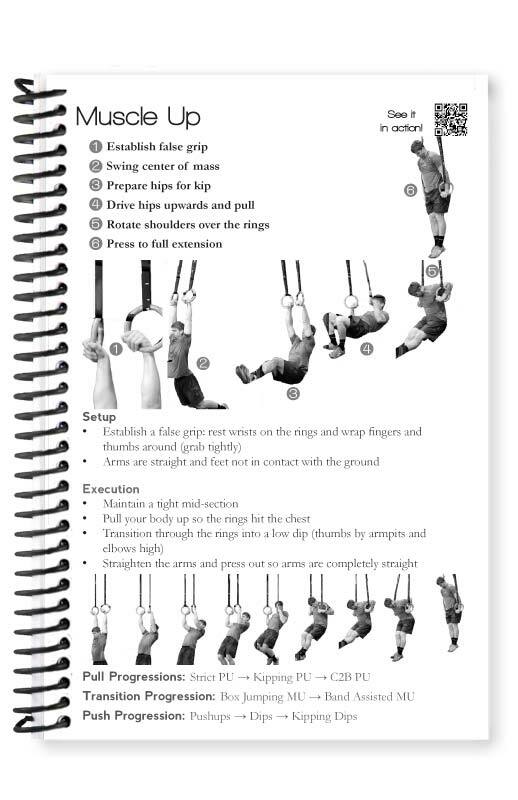 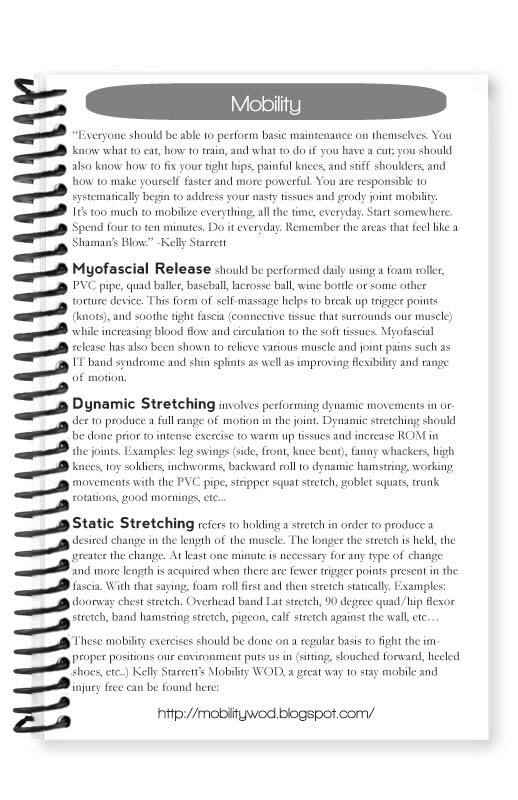 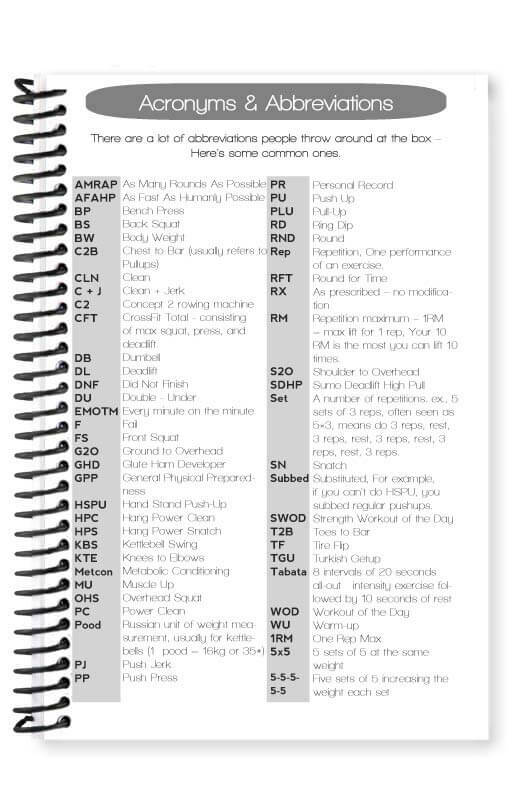 This includes extensive mobility work, weightlifting and metcons. Your WOD (workout of the day) varies greatly so we've tried to build a lot of flexibility into the workout pages and PR tracking. 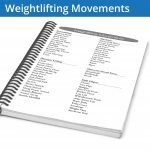 As a weightlifter, we know you're doing a lot of movements, circuits, reps and sets in each session. 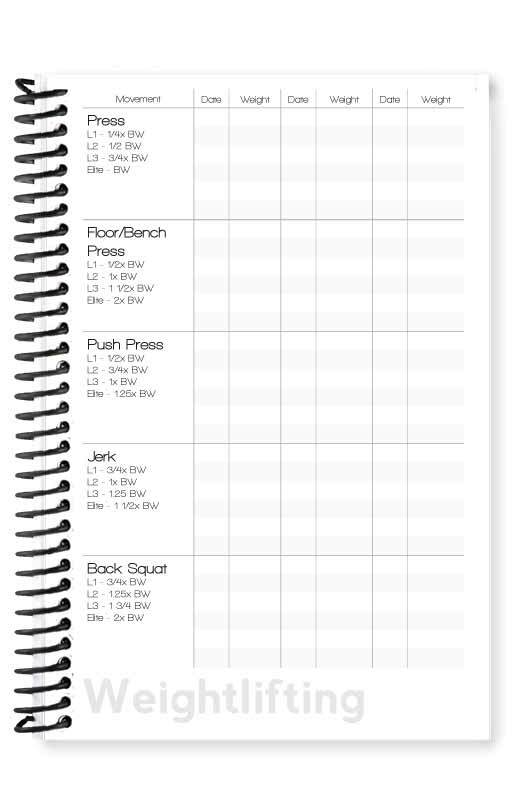 We've designed you a much larger table for recording your lifts and sets, allowing you to focus on lifting that weight. As a runner we know you're focused on events, splits, times and distance. 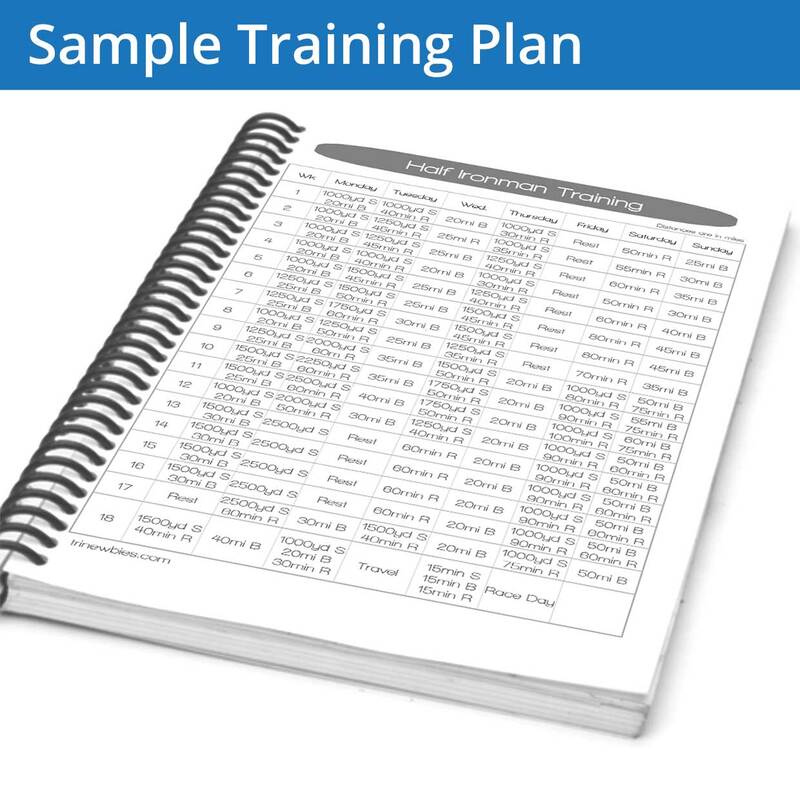 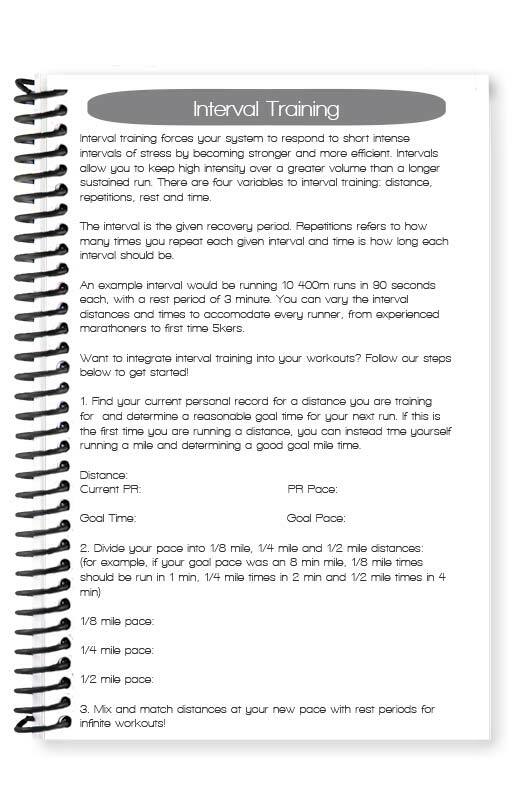 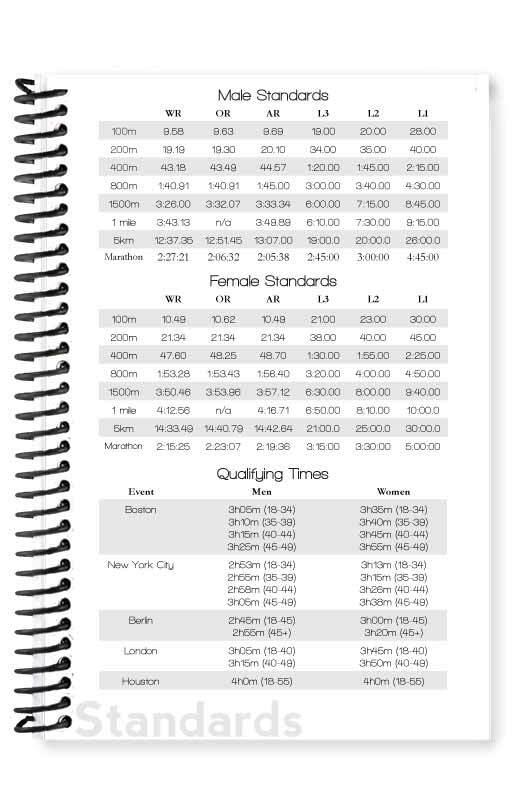 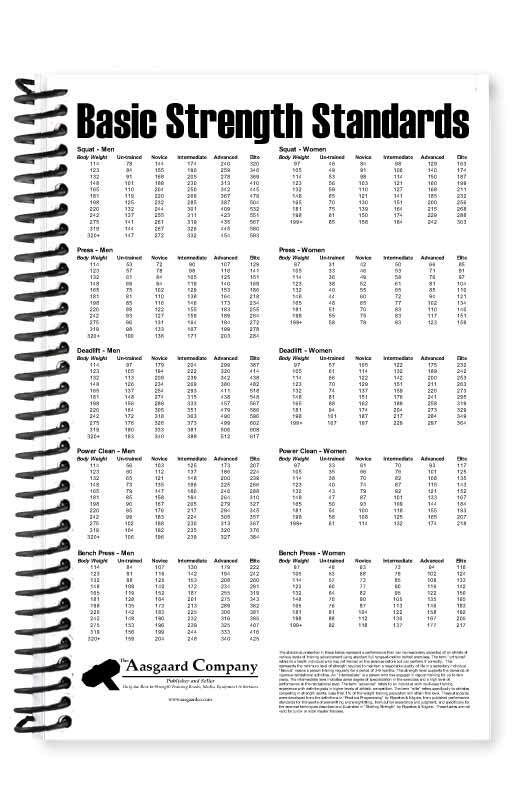 We've tried to build a bunch of pages from training plans to race breakdowns to give you the edge you need. 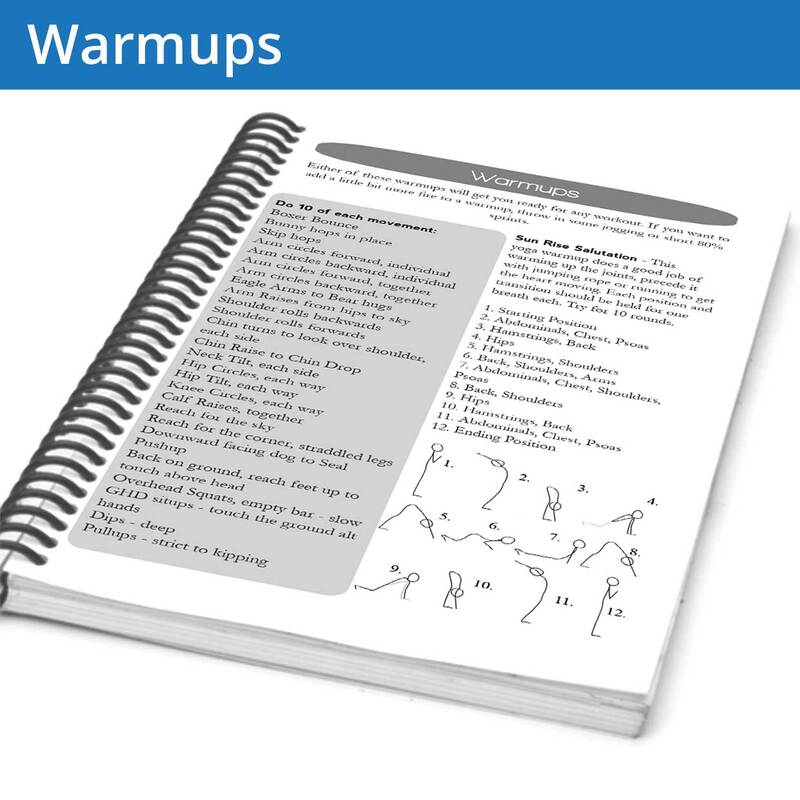 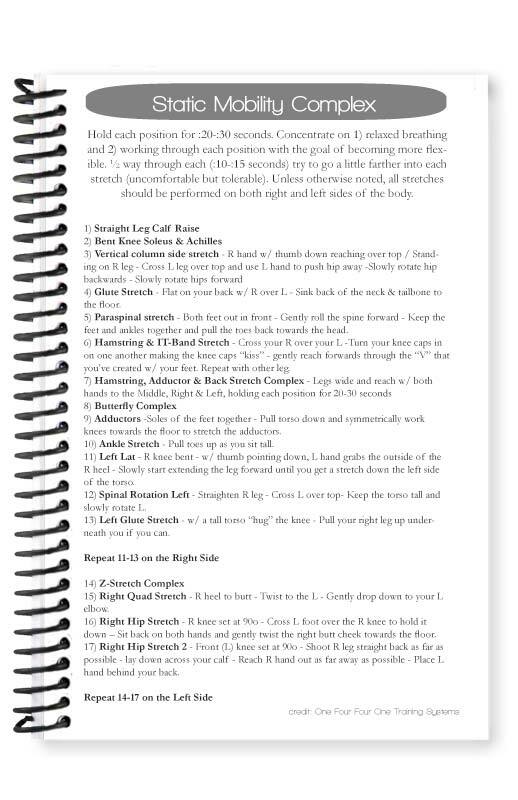 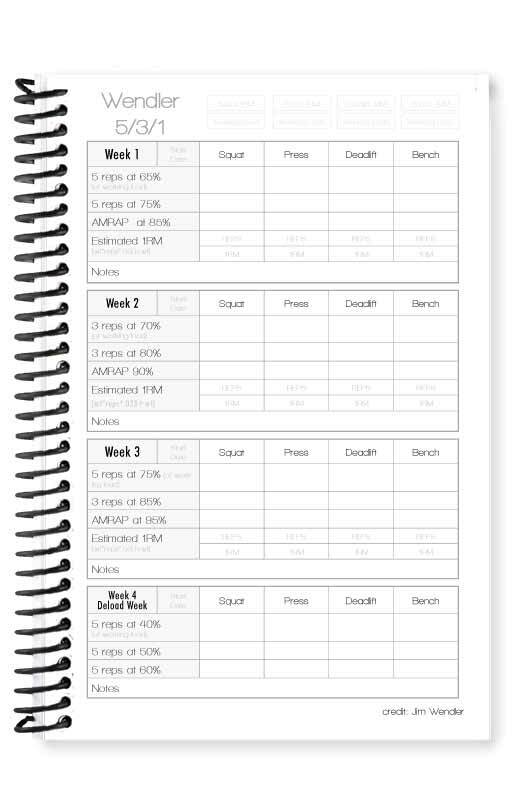 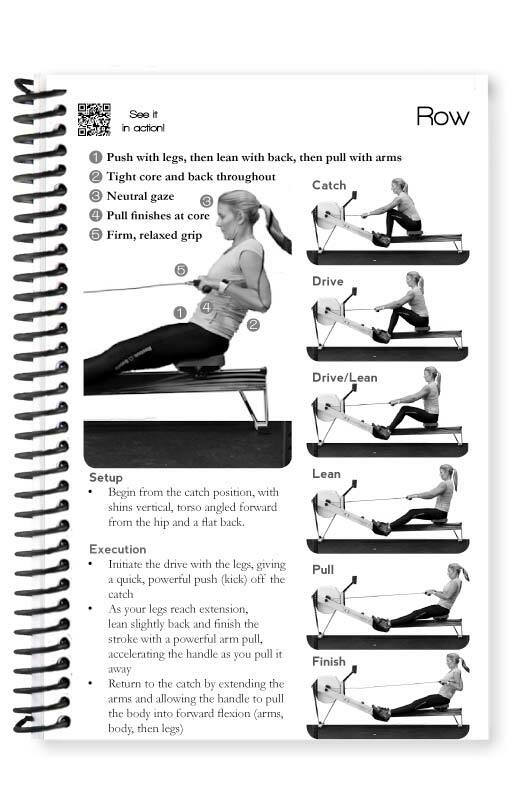 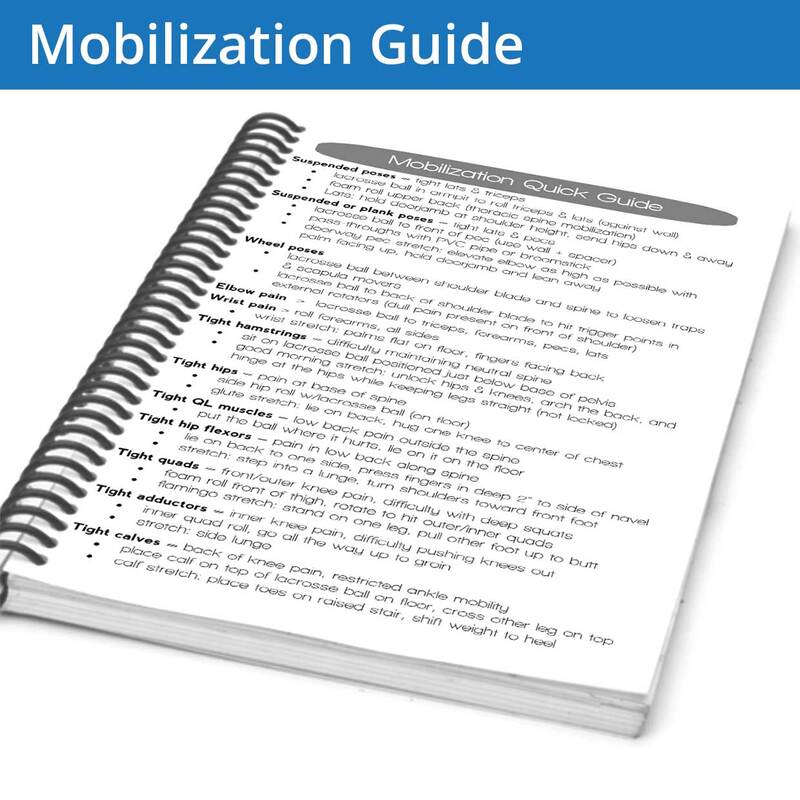 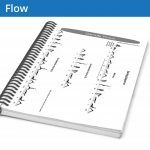 Your workout page has a large section for notes so you can write out what is working and not working in your training. As a triathlete, you do a lot of different activities, from running, biking, swimming and cross-training. 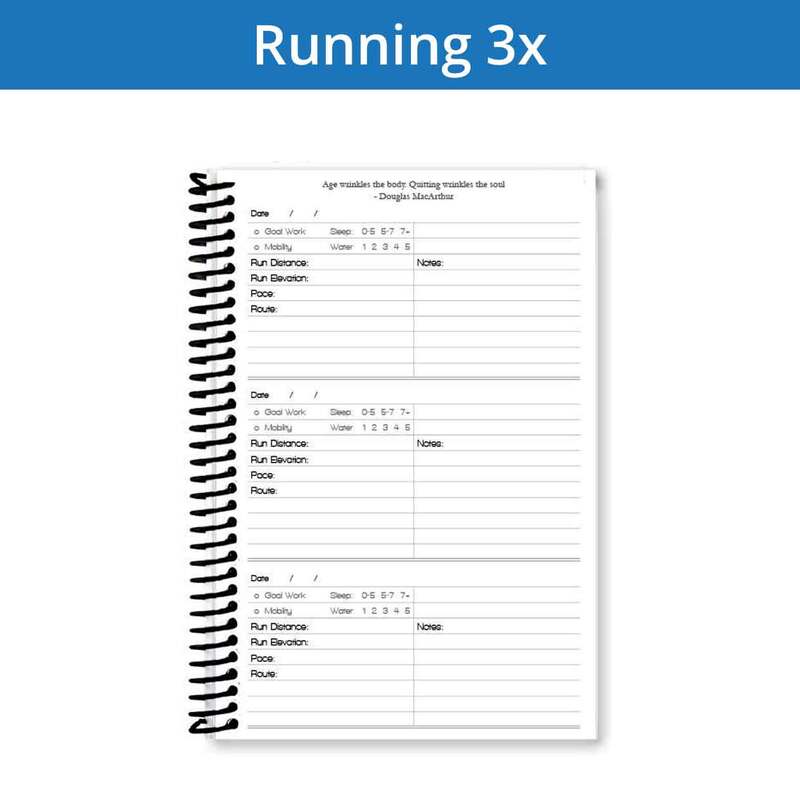 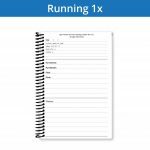 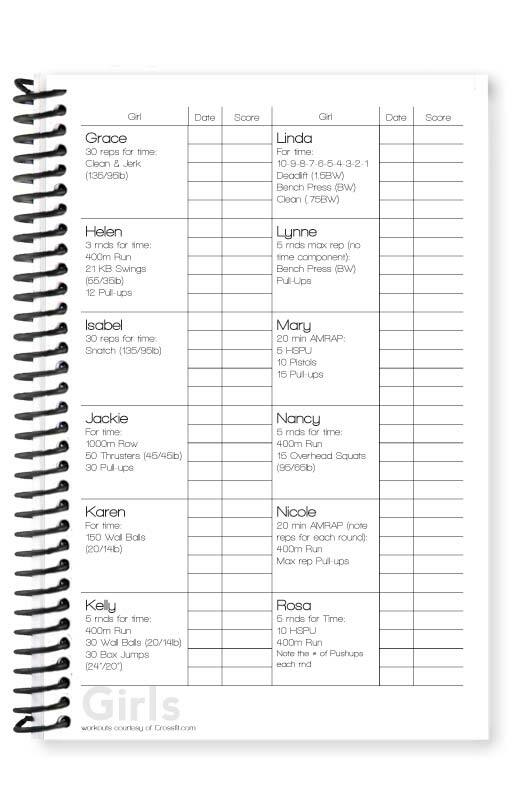 Similar to the Running Journals, we've designed your pages with events and long term training in mind, and made sure your workout page has plenty of room to write your workout notes and details. As a Boot Camper, we know you're in this for transformation. We also know how much those air squats hurt. 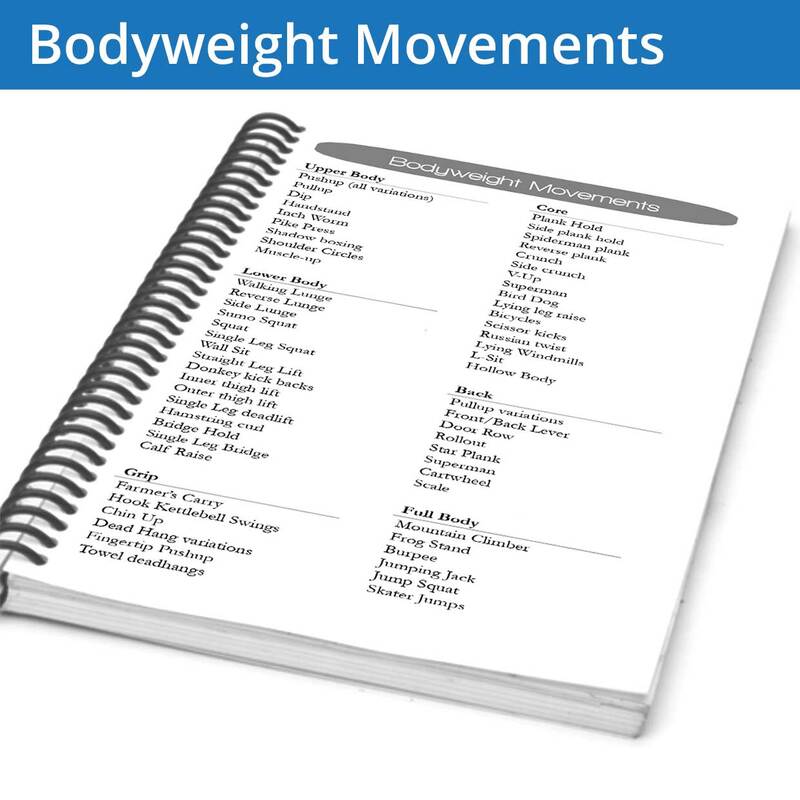 We've focused your journal on core strength and bodyweight movements so you record the training details most important to you. Meditation and Mindfulness, Practice and Pose. 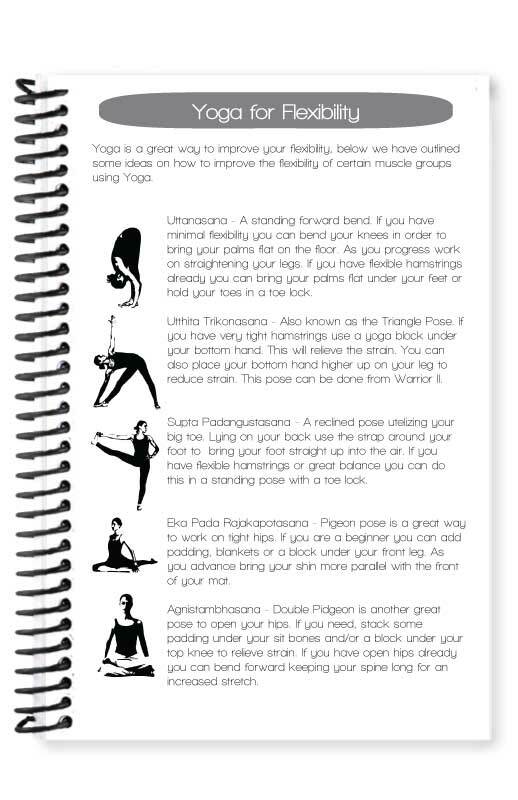 The Yoga pages are all about finding your inner yogi and expanding your practice. 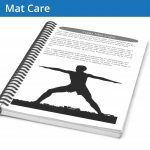 Our daily practice page is designed with these principles in mind and we've created a ton of yoga-specific care and knowledge pages to enrich your progression. Your Fitness journal is designed to help you record your goals, workouts and PRs. 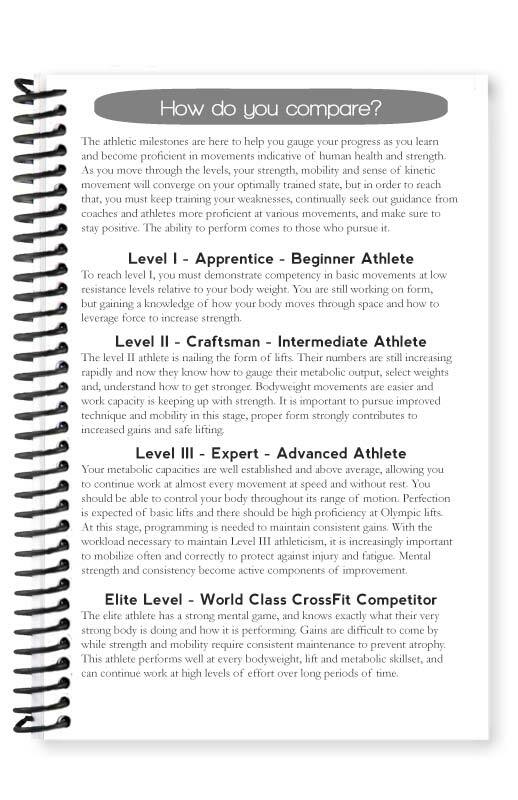 Along with those we've thrown in some amazing tools and charts to help take you to the next level. 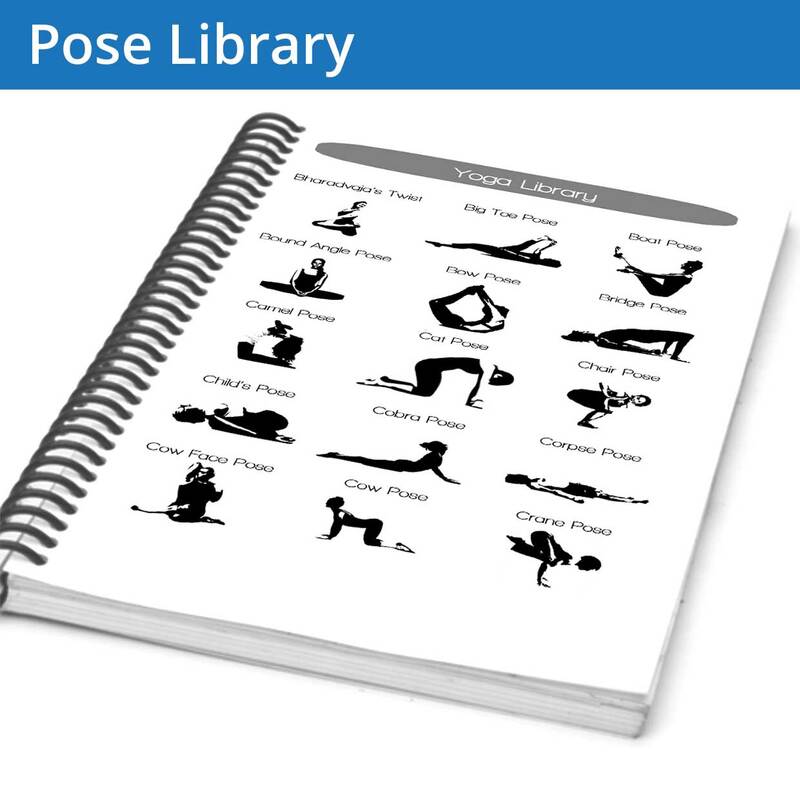 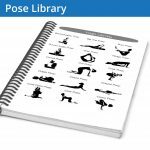 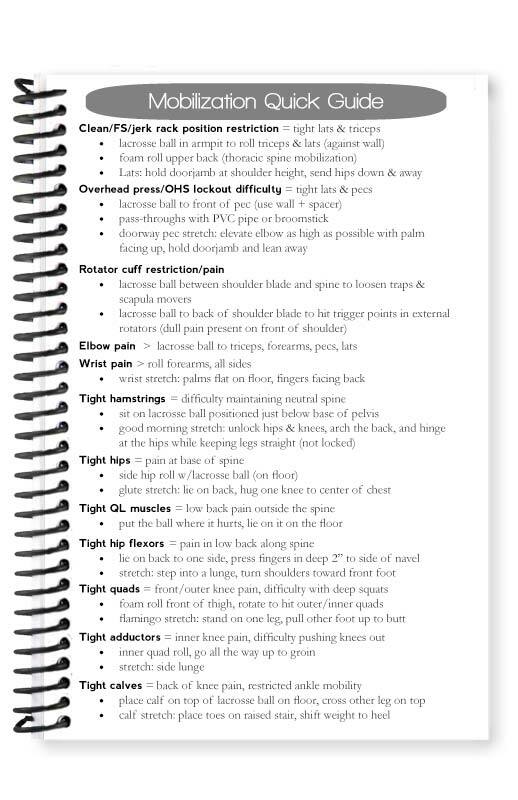 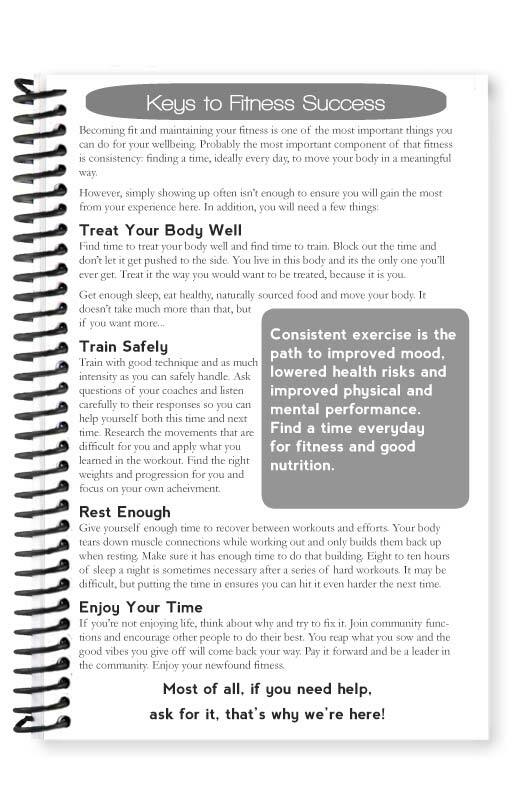 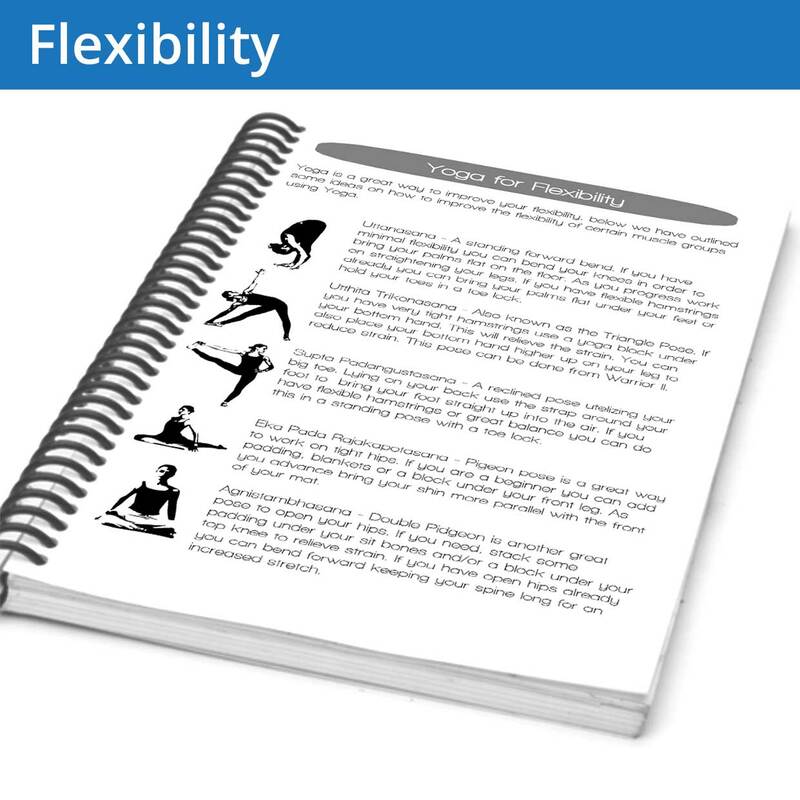 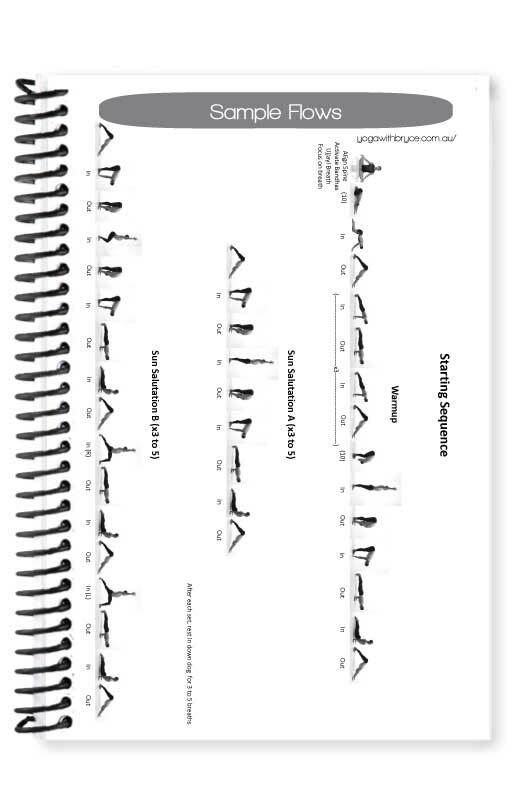 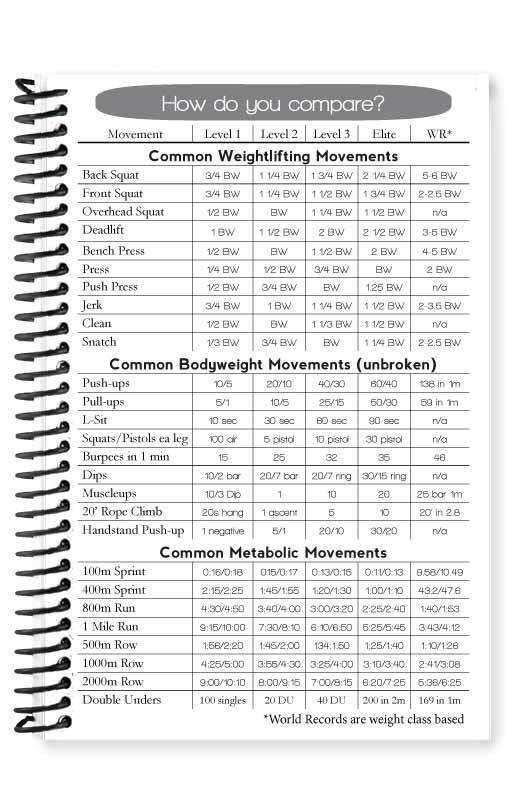 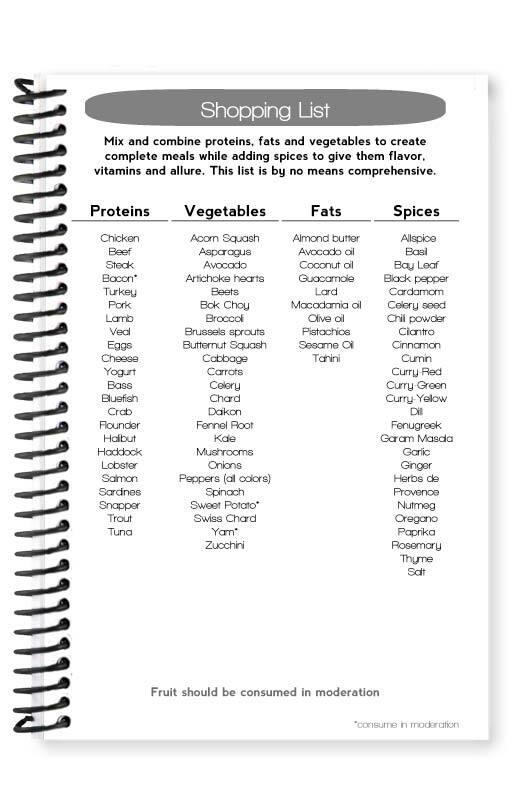 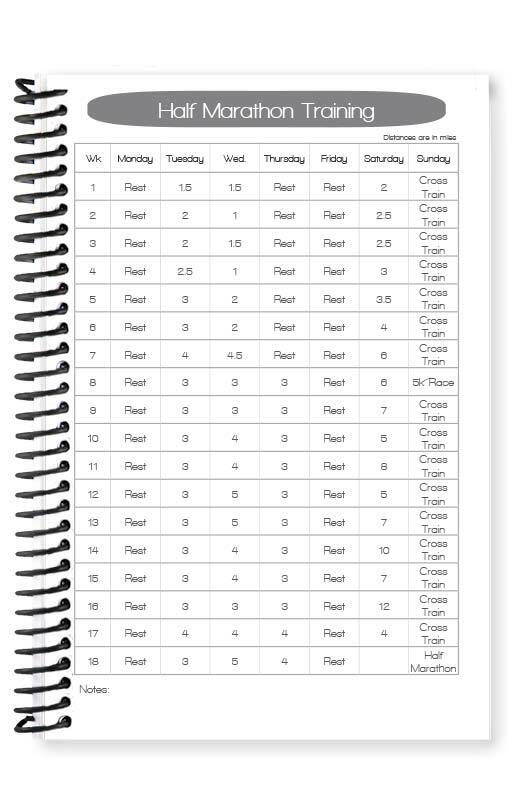 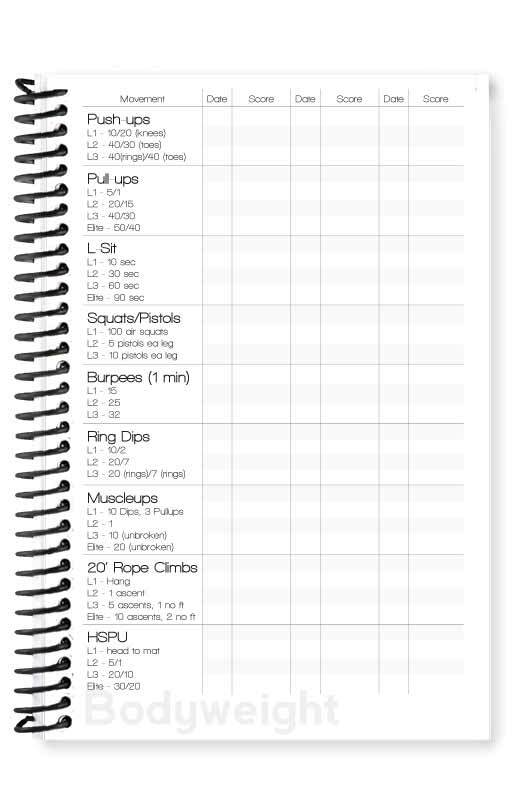 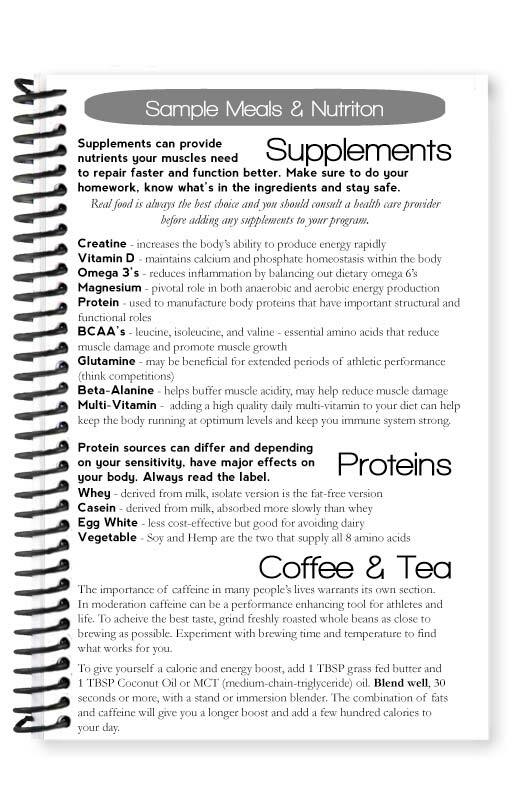 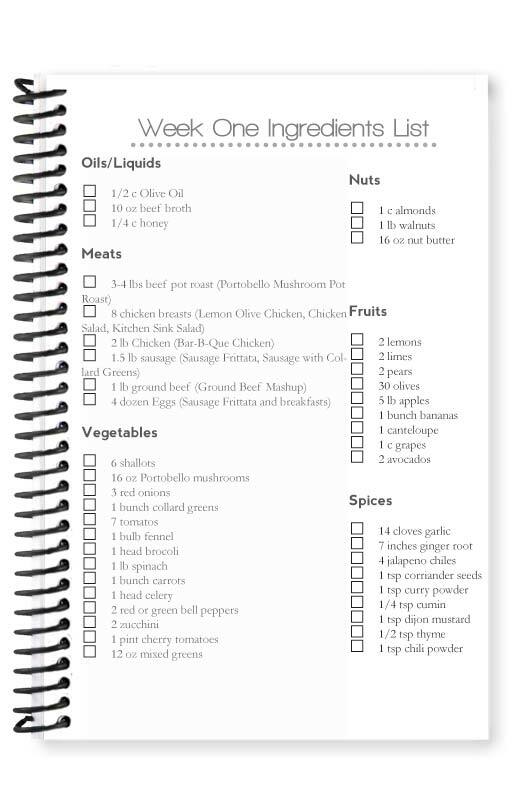 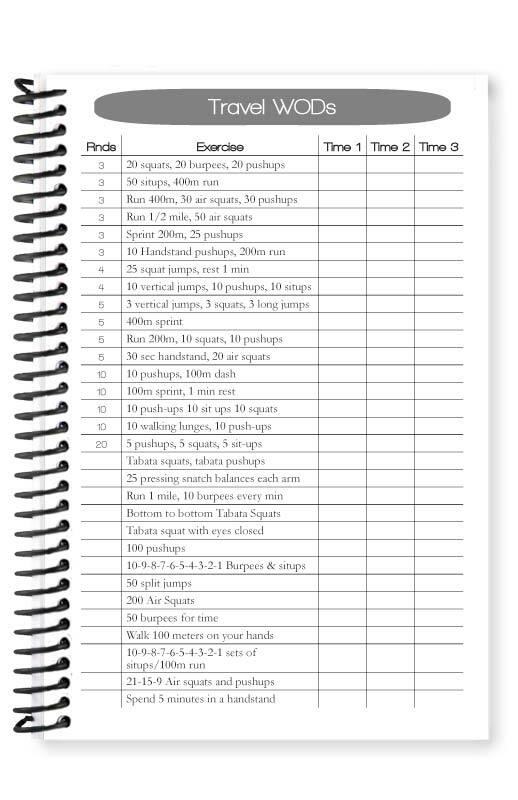 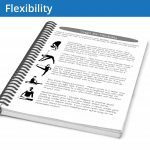 Fitness Journal Table of Contents — Click on a page name to preview it.